Philemon owned at least one slave, a man named Onesimus. It was because of this slave that the book which bears Philemon’s name was written. This slave had run away and somehow found himself with the apostle Paul. After a period of time, Paul sent Onesimus back to his master with this letter. But why would a man of God send someone back to a life of slavery? Because of the culture in which we live today, we have ideas about slavery that did not exist in the first century. In the United States, slavery is generally viewed as inherently sinful. The idea that one man can own another is repulsive to the vast majority of Americans. However, the Bible never once condemns slavery. 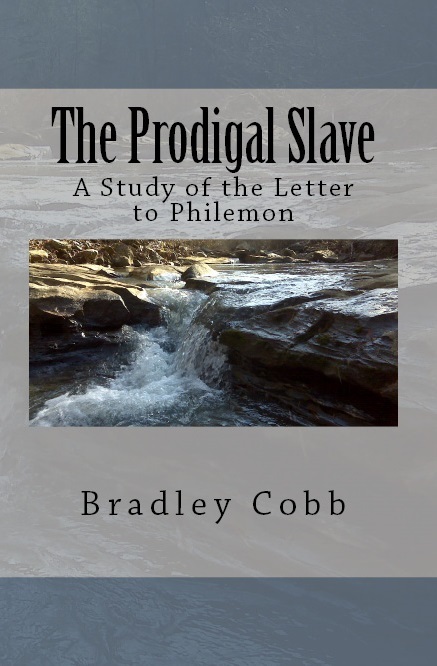 The book of Philemon, along with Colossians (see 4:1), makes it clear that slavery is not sinful in and of itself. By some estimates, there may have been as many as 60 million slaves in the Roman Empire during the first century. This is even more shocking when you note that the whole of the Roman Empire numbered 120 million! Regardless of the specific number, it is quite sufficient to say that slavery was a common practice throughout the Empire. However, not all people became slaves in the same way. Some became slaves because they were part of a conquered people. When armies conquered new areas, many were taken as slaves. Sometimes it was considered a sign of prestige if you had a Greek slave, especially if that slave was an educator for your children. Others, such as the Gauls and Barbarians, were prized because of their strength. These became slaves for life. Some were born to parents who were slaves, thus becoming property of the master. A large section of the slave population became slaves because they owed more money than they could pay back. There were no bankruptcy courts back then. If you amassed a debt and could not pay it back, your possessions would be sold. If that still did not cover what you owed, your family would be sold or you would sell yourself into slavery. If you did not owe a tremendous amount of money, you may only have to be a slave for a relatively short time until that debt to the man was paid off. Other times, you may owe one man the money, and someone else will pay it off, buying you in the process. The Plebes (the poorest class of people) would often sell themselves into slavery so that they would not starve to death. In effect, becoming a slave was actually a step up for them, guaranteeing them food, clothing, and shelter. Possibly, these were the ones who were given the most menial tasks, because they did not have any skills like some of the other slaves. Slaves literally became the property of their owners. Think about owning a car. If the car stops working well, you might decide to try to fix it, and if that does not work you might sell it or even have it crushed. If a slave was not working as well as the master wanted, the master could try to correct him (possibly by talking with him, or by punishing him). If that did not work, he might sell him to someone else, continue to beat him, or maybe even kill him. If a slave was disobedient to his master or talked back, the master had full legal right to sell the slave’s wife and children as punishment. It is also important to note that not all slaves were treated the same way. Just as there is everywhere else, good and bad people exist. There were forgiving masters, but there were also vicious masters. Some slaves were treated kindly, others were beaten mercilessly. Many masters would simply view the slave as an employee, like one might view a butler or a maid. Others made the slaves the object of all of their anger and hatred. After the Civil War, when Abraham Lincoln had abolished slavery in the US, there were some slaves who did not wish to leave their master’s house. They stayed on because they had been treated well by their owners. In the first century, slaves had the same rights as widows and orphans: none. This is the life that Paul was sending Onesimus back into. Would you be willing to go back? And He said to them, “Do you not perceive this parable? And how, then, will you know all [these other] parables? The parable of the sower is one of the best-known of Jesus’ parables. I don’t have any idea how many times I’ve heard some part of it referenced (often the “cares of this world” line), but it’s a lot. It’s mentioned by Matthew (chapter 13), Mark (chapter 4), and Luke (chapter 8). And though many people refer to it as the “parable of the soils,” Jesus called it “the parable of the sower” (Matthew 13:18). Therefore, while Jesus spends a lot of time dealing with the different kinds of soils, His main emphasis is on the sower. [Jesus] began again to teach by the seaside. And a great multitude gathered [together around] Him, so that He entered into a ship, and sat in the sea; and the whole multitude was by the sea on the land. Matthew 13:1 tells us that at first, Jesus sat to teach by the seaside (most likely next to the sea of Galilee). But the crowds gathered, and Jesus stood up, walking to a ship that He could board so that He could teach the crowds without being mobbed. Then, He sat down on the ship and began to teach the multitude that was on the shore. This wouldn’t have been like a rowboat, but probably one of the fishing boats. Jesus must have had a very strong voice to be able to teach this great crowd of people while sitting on this boat. And He taught them many things by parables. The word “parable” comes from the Greek parabole, which literally means “to throw beside.” It’s the idea of putting two things side-by-side for comparison’s sake. A parable is often described as “an earthly story with a heavenly meaning,” and quite often that is true. I’d be more specific, and say that a parable is a story dealing with things that are known and understood in order to explain something that is not necessarily known or understood. Every parable that Jesus gave dealt with things that the listeners could identify with and understand, things like planting and harvesting, or losing something valuable and rejoicing when it is found (Luke 15). And behind all these parables were deeper truths. Some parables foretold the rejection of the Jews (Matthew 21:33-45), while others taught Godly attributes (like the Good Samaritan). Jesus didn’t speak to waste His breath. He expected those people who gathered around to pay attention to the things He was trying to teach them. As followers of Jesus Christ today, we should respect the Lord enough to listen to Him and listen to His word being proclaimed. This word means not just to look, but to perceive, to comprehend. So, as Jesus began to speak, He opens with the words, “Listen. Perceive.” In other words, Jesus is telling them that in order to understand His teaching, they would have to pay attention, and do some thinking. He explains why a little later on. Literally, “the scattering one went to scatter.” This kind of sowing is done by a person with a large bag, like a large purse, with the handle over his shoulder and neck. He reaches inside the bag, grabs a handful of seeds, and then scatters them all across the field as he walks. He knows ahead of time that not all the seeds will take root, but given the sheer number of seeds that he throws out there, he knows that some of them will produce the desired plant. The road, whether it be rock or dirt, was packed down so hard that no seed could penetrate—so it just sat there, and was free food for the birds who gladly take advantage of it. You might imagine soil with lots of gravel or little rocks mixed in with it, but that’s not what Jesus is describing. He’s describing ground where there is a very small layer of soil, and underneath that is just rock. That’s why He says “it has no depth of soil [or earth].” Anyone who has ever tried to plant a garden in this kind of soil knows that it is almost impossible to get much to grow and produce, because there’s simply not enough soil to support the plant. When Luke records this statement, he says that the plant withered away because it “lacked moisture.” The thin layer of dirt couldn’t hold on to the necessary moisture to sustain these plants, and the plants died as a result. These are weeds among which the seed fell. These weeds, with thorns, stole moisture and nutrients from the soil, and worked to overtake the plant, keeping it from being able to produce any fruit. This is why anyone who has much experience with gardening knows you’ve got to “weed” (or de-weed) your garden so that your crops can grow and produce. This here is the reason why the sower goes out and scatters the seed: because there is good soil out there, and if he scatters enough seed, some of it will land in that soil. That seed will then sprout, take root, and produce a good harvest. The person sowing the seed during those days wasn’t usually the land owner—at least not on the bigger fields. It was someone working for the person who owned the field. Usually, there were several working the fields at once, and they would scatter the seed all over the place, covering every possible area. Some of it would land in bad soil, but some of it would land in good soil. These workers oftentimes had no way of knowing what kinds of soil were all around them. Their job was merely to scatter the seed. This is something that Jesus said on more than one occasion. He said it after telling His disciples that John the Immerser was the fulfillment of the prophecies about Elijah (Matthew 11:7-15); after asking them whether a candle should be hid under a bushel (Mark 4:21-23); after chastising the Pharisees for elevating their traditions over God’s word (Mark 7:1-16); after explaining the parable of the tares (Matthew 13:36-43); after instructing the multitude on the cost of discipleship (Luke 14:25-35); and at the conclusion of each of the letters to the seven churches in Asia (Revelation 2-3). The phrase means that everyone (because they all have ears) is supposed to listen. In fact, the phrase “let him hear” is the same as the word translated “Hearken” (KJV) or “Listen” that Jesus used back in verse 3. It is a command to hear the message that is being presented. When He was alone, they that were around Him, with the twelve, asked Him about the parable. Mark is the only one who gives us this piece of information, that is, that they waited until Jesus was alone to ask this question. They apparently didn’t want to ask the question in front of the multitude, and they also didn’t want to interrupt Jesus’ teaching. So, they waited until later. Mark is also the only one who tells us that it was more than just the apostles asking this question. Matthew and Luke simply say “the disciples,” which sometimes is a reference to just the twelve. But this was the entire group of Jesus’ disciples, all the ones who were faithfully following Him—including the apostles. It appears that none of them understood the deeper meaning behind Jesus’ parable of the sower. The disciples, including the apostles, were being taught about the Kingdom of God by Jesus. He told them that it was “at hand,” and showed its power to them by casting out demons and healing the sick. But there was more to it than just power. The Kingdom of God included enduring rejection by the very people Jesus came to save. The disciples needed to understand that the key to understanding Jesus’ parables was knowing about the Kingdom. The Kingdom would be spread by sowing the word of God (as He will allude to momentarily) in the hearts of people. But to those who don’t understand, who haven’t opened their eyes to the reality of Jesus spiritual kingdom, these parables would have no meaning—for they didn’t have the key. The KJV says these things are “done” in parable, but literally, He says they are “coming” in parables. That is, He’s presenting those things in parables to the masses. Jesus quotes Isaiah 6:9, and applies it to His own teaching in parables—a definite claim that He is the Messiah. Again, these are conditional statements. Some of the people did listen to Jesus, and some of them were converted, and did have their sins forgiven. But the majority did not. In Isaiah 6, where this statement came from, the Lord sent Isaiah to proclaim the truth that the people really didn’t want to hear—that their cities were going to be utterly wasted. And the more they heard that they didn’t like, they more they ignored the prophet. The same thing happened with Jesus (see John 6:66). There were hard-hearted people who didn’t want the message of a spiritual kingdom that required godly living and evangelism and obedience. So, Jesus spoke it to them in parables, keeping the true meaning just under the surface—those who were spiritually-minded would dig and find it, while those who weren’t interested would just think it was a story and shrug it off. This parable is a fairly straight-forward one, and when we understand that it is about the kingdom of God, the rest of the pieces fall into place pretty easily. And Jesus asks them how they could hope to understand His other parables if they didn’t understand this parable. So many people want to jump headfirst into the deeper matters of the Bible without first having an understanding of some of the simpler parts. If you can’t grasp the simple parts, you have no hope of understanding the more difficult ones! That statement is the key to the entire parable. Luke records it as “the seed is the word of God” (Luke 8:11). Without this knowledge, the parable is hidden in a mist of confusion. But when you know that “the seed is the word of God,” everything else makes sense. The word of God makes no lasting penetration into these hearts. Just like the birds eating seed off the hard ground, Satan has no trouble removing the word of God from the hearts and minds of this kind of people. They aren’t really spiritually-minded to begin with, and so they don’t take in the word of God, they don’t treasure it. It’s just there, ready to be forgotten at the first opportunity. These are what you might call “shallow” Christians. They want the salvation that comes through Christ, but they don’t have any roots, no depth to their faith, and so when things get tough, they simply fall away. It’s interesting that in the parable, Jesus described the sun as part of the reason the plant died, and then he describes affliction and persecution as what causes a believer to die (spiritually). But the sun has a very positive effect on plants which are properly planted; and persecution and affliction has a very positive effect on Christians who are properly planted in God (see James 1:2-4, Acts 5:40-41). When those things become the focus, it chokes out the word of God in your life, and you become unfruitful. Even if you were at one point in time an active, evangelistic, fruitful Christian, you can still fall—you can still get so tangled up in the cares of this world that you end up forgetting that this world isn’t our home, and we’ve got a better world awaiting us. First, we could use the word “fruit” as John the Immerser did in Matthew 3:8, “Therefore, bring forth fruits suitable for repentance.” By this, the “fruit” would have a reference to works (in our context, it would be good works). Paul uses the phrase in a similar way in Romans 7:5-6. Second, we could look at something God says about “fruit” in the creation account in Genesis 1:11: “And God said, “Let the earth bring forth grass, the herb yielding seed after his kind, and the tree yielding fruit, whose seed is in itself, after his kind: and God saw that it was good.” Since the fruit has the seed inside it, and the seed is the word of God, then to “bring forth fruit” would be converting people to Christ. Each person you convert to the Lord now has the word of God (the seed) inside them. Ultimately, the two options are really two parts of the same thing. Since Jesus called it the “parable of the sower,” He wanted His disciples to view it from that direction first. In telling them this parable, He was preparing them for the different kinds of reactions that they would receive when they went about preaching the word. We need to take the same lesson from it as well, and know ahead of time that there will be people who are so hard-hearted that the word of God won’t take hold in their heart. We need to realize ahead of time that some people will accept it, but they will be shallow and fall away. Some will accept it, and stick with it, but they won’t bear fruit because they’re too busy with the things of this life. These things aren’t our fault—that is on them. But we also need to know that there are people out there who will gladly receive the word of God and who will bear fruit. That is the reason we need to keep trying to bring others to Christ, because these kind of people are out there! The secondary purpose of this parable is from the standpoint of the soils, or the heart. What kind of heart do you have? Is it a hard heart? A shallow heart? A rocky heart? Or a good and pure heart? As most of you are certainly aware, bad soil doesn’t have to stay bad soil. It can be broken up, tilled, cared for, rocks removed, weeds removed, and it can become productive. The same thing is true of your heart. If you honestly look at your heart and discover that you are one of the first three, then you can do something about it! You can cultivate your heart, be more conscious of where your focus is, on what is most important, and then you can start being fruitful for the Lord! Just possessing he seed isn’t enough. Just tossing it on the ground isn’t enough. In order for that seed to produce a plant, there’s something else that has to be present, and that’s water. The same thing is true with the word of God. Just having it isn’t enough to save you. Just believing it isn’t enough to save you (for the demons believe and tremble, James 2:19). It’s when you make the decision to repent of your rebellion to God, and add water—being baptized into Christ for the forgiveness of your sins—that you become a Christian. Won’t you please become a fruitful follower of the Lord today? Jesus gave some difficult commands in His life, but they were always ones that He Himself was ready to follow as well. He has been preaching and teaching, proclaiming the Kingdom of God in the face of opposition from His associates (who thought He was crazy) and the scribes (who claimed He was possessed by Satan), but He didn’t stop. And now, Jesus’ family shows up, wanting Him to stop teaching so He can come talk to them. The Text, part 1 – Earthly Family Calling (Mark 3:31-32). Satan uses peer pressure and false accusations to try to disrupt God’s work. That’s what he did against Jesus earlier in this chapter. Now, he uses another—very potent—device to try to stop Jesus: His own family. Let’s just get this out of the way from the start. These aren’t Jesus’ cousins. These are the children of Mary and Joseph, all younger than Jesus, who arrived with their mother, Mary. Matthew 13:55-56 shows that Jesus was known by the people in His own area as “the carpenter’s son” whose mother was named “Mary,” and “His brethren, James and Joses and Simon and Judas” and who had “sisters.” It is ridiculous to claim, as the Catholics do, that the people who knew Jesus had to identify Him by His earthly father and mother, and then rattle off the names of four of His cousins, and then add that He’s got female cousins (“sisters”) too. These are the actual brothers (half-brothers, to be specific) of Jesus who have come with Mary. Some Greek manuscripts also include “sisters” with this group that was trying to get to Jesus. This is the family that Jesus has known His whole earthly life. He certainly had a spot in His heart for them. Even though John 7 portrays them as non-believers, He visited James after the resurrection, which led to all of the brothers being present in Jerusalem, gathered with the disciples (Acts 1:13-14), and later becoming well-known Christian examples (1 Corinthians 9:5). So these brothers of Jesus were not beyond reaching with the gospel, and Jesus knew that. This fact would have made it very tempting for Jesus to go talk to them and try to convince them to believe in Him. Luke tells us that they couldn’t get to Jesus because of the massive crowd of people (Luke 8:19) who were sitting around Jesus, so instead of going to Him, they began calling to Him. The Greek word is “phoneo,” which means they were using their voices. So, they were telling people at the edge of the crowd, “Tell Jesus that we’re out here, and that we are looking for Him.” So, from the edge of the crowd, this message was sent (the Greek word is “apostello”) until it reached Jesus. This is something that only Mark mentions. Remember that earlier in the chapter, those close to Jesus thought He was crazy because He was allowing these massive crowds of people to crowd around Him. But Jesus is in no danger of being crushed. The multitude is sitting around Him. The message had made its way through who knows how many people to finally get to Jesus. He’s told that they are “seeking” Him. The same word is used in Matthew’s account, where it is translated “desiring” to speak to Jesus (Matthew 12:46-47). In other words, they wanted Jesus to stop what He was doing and come outside to talk to His physical family. As Jesus’ family stood outside, the crowd looked at Him, probably wondering what He would do. Would He stop preaching and teaching to go talk to them? Would He send them a message back through the multitude? Would He ignore them? As literally-minded as some of Jesus’ disciples were, you have to think that some of them were quite confused by this statement. What? Jesus, you know…your mother? Mary? Don’t you remember her? And your brothers, the ones you lived with for years? What do you mean, “Who is my mother or brothers?” Maybe this statement, for a moment, reinforced the idea that some of them had that Jesus had lost His mind. But Jesus wasn’t pleading ignorance, nor was He crazy. He was asking a question to get the people to start thinking. He wanted them to start thinking about which relationships are most important. He wanted them to change their focus from the physical to the spiritual. This is Jesus pausing for effect, looking at the people who were listening, making sure they are paying attention. Then Jesus lifts up His hand, and points it towards His disciples (Matthew 12:46-47). The crowd had said “Behold, your mother and brother are outside,” and Jesus’ response is “Behold, my mother and brother” are right here! Jesus explains what He means by this in the next verse, but I want you to put yourself in the shoes of Mary, or of James, Jude, Simon, or Joses. The message certainly got back to them, and it probably didn’t make the brothers too happy. But what about Mary? Do you think another incident popped into her head? Perhaps an incident that the Bible says “she kept…in her heart”? Now His [Jesus’] parents went to Jerusalem every year at the feast of the Passover. When He was twelve years old, they went up to Jerusalem after the custom of the feast. And when they had fulfilled the days, as they returned, the child Jesus tarried behind in Jerusalem; and Joseph and His mother did not know it. But they, supposing He was with the company, went a day’s journey; and they sought them among their relatives and acquaintances. And when they did not find Him, they turned back again to Jerusalem, seeking Him [this is the same word as in Mark 3:32]. And it came to pass, that after three days they found Him in the temple, sitting in the midst of the teachers, both hearing them and asking them questions. And all that heard were astonished at His understanding and answers. And when they saw Him, they were amazed: and His mother said to Him, “Son, why have you dealt this way with us? Behold, your father and I have sought you, sorrowing.” And He said to them, “How is it that you sought me? Did you not know that I must be about my Father’s business?” And they did not understand the saying which He spoke to them. And He went down with them and came to Nazareth, and was subject to them: but His mother kept all these sayings in her heart. (Luke 2:41-51). Even from the time Jesus was 12 years old, He knew the difference between His earthly family and His true family. The incident from Jesus’ boyhood, along with the incident in Mark 3, shows us without a doubt that Jesus knew which family was most important. For whoever shall do the desires of God, the same is my brother, and my sister, and my mother. Now, just to make things crystal clear, Jesus isn’t saying that His disciples were somehow His spiritual mother (or sisters). He is saying that His true family is the spiritual family. His true family are the people who obey the Father’s will. Here’s something that you might want to contemplate: your earthly family is only temporary. Your spiritual family is forever. But praise God when your earthly family is counted as part of your spiritual family too! The Peter began to say to Him, “Look, we’ve left everything and followed You. And Jesus answered and said, “Truly I say to you, there is no man that has left house, or brothers, or sisters, or father, or mother, or wife, or children, or lands for my sake, and the gospel’s, but he shall receive a hundred-fold now in this time, houses and brethren, and sisters, and mothers, and children, and lands, with persecutions; and in the world to come, eternal life. (Mark 10:28-30). The ones who have put Jesus ahead of their earthly family will receive a much greater family—brothers and sisters of untold numbers—here, in this life. A person who obeys the gospel immediately gains a family of brothers and sisters in Christ—and new family members are made every day! Jesus warned about placing your physical family ahead of Him—being a disciple of Jesus must come first in your life! [Jesus] said to them, “If any man comes to me, and does not hate his father, and mother, and wife, and children, and brothers, and sisters, yes, and even his own life too, he cannot be my disciple. (Luke 14:26). Jesus isn’t saying that you have to despise your family, but He is saying that you have to put Him first. Earthly ties are to be secondary to your ties to Jesus Christ. Put Your Family First—Your TRUE Family. I don’t need to tell you that people have fallen away from God, left the family of God (the church, 1 Timothy 3:15), because of their physical family. Maybe it’s a domineering husband who berates his wife for going to worship with the saints. Maybe it’s a wife whose religious ties are to a denomination, and she’s nagged or guilted her husband into joining her. Maybe it’s someone who has children who are living in wickedness, but they can’t bring themselves to admit that they are lost, so they stop worshiping with the saints, lest someone ask about them, or lest they hear a lesson that deals with the sins that their children happen to be guilty of. I know a man who left the church and tried to split it on his way out because someone dared to tell him that it was wrong for his daughter to be cheating on her husband. We must be like Jesus, and realize that regardless of our earthly ties, it is our Father’s family, our true family that matters the most. How Do I Become Part of God’s Family? We become part of a physical family by being born into it. Similarly, in order to become part of God’s family, Jesus’ family, the spiritual family, the family that Jesus claimed as His own, we must be born into it as well. But this birth isn’t something done when you come out of your mother’s womb. Since this is a spiritual family, it requires a spiritual birth. “Truly I say to you, unless a man is born again, he cannot see the kingdom of God.” Nicodemus said to [Jesus], “How can a man be born when he is old? Can he enter the second time into his mother’s womb and be born?” Jesus answered, “Truly, truly I say to you, unless a man is born of water and the spirit, he cannot enter into the kingdom of God” (John 3:3-5). James 1:18 says “Of his own will begat he us with the word of truth, that we should be a kind of firstfruits of his creatures.” The word “begat,” when describing a father’s actions, means that he has provided the seed so that a new creature can be born. In the genealogical lists, it is said “Adam begat Seth” or “Abraham begat Isaac” and so on. The fathers didn’t give birth to them, but they provided the seed so that a birth could follow. When God begat us, He provided the seed so that a birth could follow. But what was that seed? The seed that God provided so that our new birth could take place is the word of God. The word of God is described as the seed from which Christians come (Luke 8:11). In the parable of the sower (Matthew 13), Jesus described the seed (the word of God) as going to people’s hearts. When it took hold of good and honest hearts, Christians came forth. There is NO CHANCE of being born again without the Scriptures—the word of truth. Some people claim they had some religious “experience” and they could tell by their “feelings” that they were saved. James says quite plainly that the new birth comes by the word of truth. Being born again doesn’t come from feelings, from experiences, or from a direct action of God upon the person. It comes from following the word of God. Peter reiterates the same idea in saying “Being born again, not of corruptible seed, but of incorruptible, by the word of God which lives and remains forever” (1 Peter 1:23). You read the Scriptures (the seed) and plant it in your heart. The birth which follows comes when you obey the commands to believe (John 3:16), repent (Acts 2:38) and be baptized (Acts 22:16). For you are all children of God by the faith, in Christ Jesus, Because as many of you as have been baptized into Christ have put on Christ. (Galatians 3:26-27). Come be a part of God’s family today! The Text: Mark 3:13-19 – He goes up into a mountain, and calls [those] whom He wanted; and they came to Him. And He ordained twelve, so that they should be with Him, and so that He might send them forth to preach, and to have power to heal sicknesses, and to cast out demons: And Simon He surnamed Peter; and James the son of Zebedee, and John the brother of James, He even surnamed them Boanerges, which is “The Sons of Thunder”; and Andrew, and Philip, and Bartholomew, and Matthew, and Thomas, and James the son of Alphaeus, and Thaddeus, and Simon the Canaanite, and Judas Iscariot, which also betrayed Him. And they [all] went into a house. One of the most important decisions Jesus had to make while on earth was in choosing His apostles. These were the men that would be His representatives, the men who would prepare people for entrance into Heaven’s Empire—the Kingdom of God. People would look on these twelve men as examples, as spokesmen for Jesus Himself. And if the wrong men were chosen, then that would reflect badly on Jesus, and people might reject the message—in other words, there were literally souls at stake: that’s how important this choice actually was. Some time after the events recorded earlier in the chapter, Jesus has gotten away from the mob of people and takes some time to be alone. Mark, writing to the Roman audience, didn’t deem it necessary to include information supplied by Luke: that Jesus went to the mountain and spent all night in prayer to God (Luke 6:12). Don’t miss this point: Jesus, even though He is God in the flesh, felt it necessary to get away from people and spend time alone talking to the Father. The next day, He knew, would be when He chose twelve men to represent Him to others. This was an extremely important decision to make, and one that He wouldn’t think of doing without prayer first. Then there is the fact that He prayed all night. Have you ever been that dedicated in your petitions to God that you prayed for hours straight? Now, spending hours straight in talking to God is not a requirement for an acceptable prayer, but maybe this example of Jesus will encourage us to spend more time in prayer than we normally do. Perhaps the most important lesson to learn from this is take time to pray. Don’t let the pressures of the world take you away from your time alone with God. Instead of the massive crowds that were running towards Him earlier in the chapter, Jesus calls a specific group of people. Luke’s account says that these people were Jesus’ disciples. He didn’t call everyone, but only a specific group of people. The word translated “calls” is the same word used in Acts 2:39, and refers to calling for a specific purpose. There it was a calling for the purpose of miraculous gifts, here is it a calling to select apostles (who would also be given miraculous gifts). The phrase “whom He would” (KJV) means “who He wanted.” He would only choose the apostles from among those who were His disciples already. Thus, those are the only ones He called. Going back to Mark’s portrayal of Jesus as the King who is announcing His impending reign and overthrow of the Kingdom of Darkness, His authority is displayed here. Jesus has had men following Him for some time—Simon, Andrew, James, John, and Levi have all been named—and they obey when He calls them. Jesus has a call for His people today, to go into the human fields and work, bringing in souls to Him. Do we answer that call? Literally, Jesus made twelve. This was His choice to make a new group from among His disciples; a special group with a special role, with special gifts to go along with it. Why twelve? Some have asked what the significance of this number twelve is. One of the first answers that springs to mind is that the Old Testament was given by God to the twelve tribes of Israel, and so the number twelve had a special significance to the Jews. Also, there’s this answer that goes along with it: In Jewish thought, numbers had certain significances, certain meanings beyond their literal count. For instance, the number three was representative of God (we can think of this as the three persons of the Father, Son, and Holy Spirit); the number four, it is said by those who have studied numerology, is representative of mankind (perhaps because our four limbs?). Thus, when you multiply the two together, you have the number 12, which represents the interaction between God and man (the Law given to the twelve tribes, and the gospel given by the twelve apostles). We could even go into the book of Revelation and see the number of saved as 144,000, which is 12 x 12 x 1,000. Or, in other words, the saved of the Old Testament, and the saved of the New Testament, a huge number (1,000 means an innumerable amount). Jesus chose twelve men, because this was to be representative of a new interaction between God and mankind. First, it prepares the ones who would carry on the message after His death on the cross. Second, it helps spread the load of proclaiming the message; Jesus wouldn’t have to do it all by Himself anymore. Third, it also may have helped with crowd control. Mark made it clear that the people came from all over the place to Jesus because of the miracles He had done. Now, with the addition of twelve more miracle-working men, people wouldn’t always be flocking to Jesus—they might have someone closer to home that they could go to, seeking healing. But don’t miss that the primary reason given for choosing these men is so that they could preach. The miracles that drew people to Jesus, the powers that amazed the crowds (and the disciples as well) were passed on to these twelve men. The miracles were not for show, but as a confirmation of their preaching message, showing that the prophesied Kingdom was truly near. This is what the Jewish people had been looking forward to, longing for, for generations. And these miracles would confirm that their hopes were about to be realized in Jesus. Knowing that his readers would naturally want to know who these twelve men were, Mark gives their names, along with a few descriptive phrases. The readers see the first name, and think, Simon, okay, I remember him. He’s one of those fishermen, whose mother-in-law was healed by Jesus. This Simon was one of the first disciples of Jesus (actually the very first one mentioned by Mark), and so his inclusion here is not really surprising. His name appears first in every list of the apostles, and there is no denying his special place in Jesus’ plan. Jesus gave Simon a new name, which in Hebrew is Cephas, but which in Greek is Petros, or Peter. Both Cephas and Peter mean the same thing: a stone or a rock. This name stuck, because with very few exceptions, he is known by the names “Peter,” “Cephas,” or “Simon Peter” from this point forward. It is said by many of the ancient writers that Mark’s gospel was written using the information given to him by Peter (with whom he was working, according to 1 Peter 5:13). But this isn’t the reason why Peter is first-named among the apostles (for he appears there in all the other lists as well). Peter was told that he specifically would be given the keys to the Kingdom (Matthew 16:18-19). Jesus also gave Peter a specific commission that applied only to him: When you have returned (from denying Jesus), strengthen the brethren [the rest of the apostles] (Luke 22:31-32). Though he abandoned the Lord in His hour of trial, and denied Him with an oath, Peter repented; and he went on to stand up with the other apostles on the Day of Pentecost and preach the first gospel sermon. He is the first person recorded who told a wayward Christian what to do for forgiveness of sins (Acts 8:22). He was the first to preach the gospel to the Gentiles (Acts 10-11, 15). And he is one of only a handful of men whose writings were included in the New Testament. Certainly, Peter’s spot at the top of the list is appropriate. The readers would have recognized this name too. When James and his brother John are mentioned together, James always comes first (except for in Luke 9:28). It’s interesting to note that James is always mentioned second in the list of the apostles, before his brother, John; but his brother is more well-known and figures more prominently in the book of Acts than James does. James was one of the three apostles who was permitted to witness the transfiguration. He preached and baptized on Pentecost. But sadly, the most well-known event in his life may well have been his murder by Herod in Acts 12. This was in fulfillment of the prophecy that Jesus gave to James and John that they would both be baptized with the baptism that He was about to be baptized with—that is, the baptism of suffering and martyrdom. Since he’s almost always mentioned before John, and since John is quite frequently called “the brother of James,” it is logical to conclude that James is the older of the two. Like Peter and James, John was one of the three who were permitted to witness the transfiguration. Most scholars believe that John is the disciple spoken of in John 18:15 who entered into the high priest’s palace with Jesus for His trial. He is also the only one of the apostles who was mentioned as being at the cross (John 19:25-27). John was a prominent member of the church in Jerusalem (Galatians 2), and wrote a large section of the New Testament (John, the three letters, and Revelation). Perhaps this is due to their fiery attitude, which was displayed in Luke 9:54, where they both wanted to call down fire on the Samaritan villages which rejected Jesus. It’s a nickname that Jesus gave them that is only mentioned by Mark—none of the other writers ever use it. But it is worth noting that Jesus gave nicknames to each of these three, Simon, James, and John, who would also form His “inner circle” of the apostles. Mark is the only one of the writers to place Andrew after James and John in the list of the apostles. But while Andrew didn’t have the prominence of Peter in the biblical writings, he does hold the distinction of bringing Peter to the Lord in the first place (John 1). Andrew taught, preached, baptized, and performed miracles prior to his death as a faithful saint of Jesus Christ. Like Andrew, Philip was anxious to bring others to Jesus. It is he that brought Nathanael (Bartholomew) to the Lord (John 1). He (along with Andrew) brought some Greeks who wanted to see Jesus (John 12:21-22). Philip died as a faithful servant of Jesus Christ. This man was also known by the name “Nathanael,” and was among the very first disciples of Jesus (John 1). He was from Cana in Galilee, and was the first of the disciples to confess that Jesus was “the King of Israel” and “the Son of God” (John 1). Elsewhere called “Levi,” Matthew was a tax collector in Capernaum who left the toll booth by the sea in order to become a disciple of Jesus. He held a great feast in Jesus’ honor, with a great multitude of tax collectors in attendance (Mark 2, Luke 5). After preaching on Pentecost, and staying behind in Jerusalem when the persecution broke out under Saul of Tarsus, Matthew took the opportunity to write the gospel account which bears his name in an effort to prove to the Jews that Jesus was the Christ. First mentioned as a disciple who was willing to die with Jesus (John 11), Thomas was the last of the apostles to accept that the Savior had risen from the dead. But after seeing it for himself, Thomas made the great declaration that Jesus is “my Lord and my God” (John 20). Like most of the other apostles, Thomas died as a faithful follower of Jesus Christ. Other than his father’s name, not much is known about this apostle. He is the brother of Matthew (who Mark said is the “son of Alphaeus” in 2:14), and he might be the same person described in Mark 15:40 as “James the less,” or literally, “little James.” He was a preacher, a teacher, a baptizer, and a miracle-worker who died in faith. Matthew tells us that this man’s name was Lebbaeus, and that his surname was Thaddaeus (Matthew 10:3). In Luke’s lists, he is called “Judas, [the brother/son] of James” (Luke 6:16, Acts 1:13). The best way to understand it is that his father was named James (because the phrase “of James” is identical in form to “of Zebedee” and “of Alphaeus,” and in both of those instances it is translated “son of…”). It is possible, then, that Thaddeaus was the son of James the Less (who was mentioned immediately before him). In order to make sure that he was distinguished from the Judas who betrayed Jesus, John called him “Judas…not Iscariot” (John 14:22). This man was a political revolutionary, described by Luke as “Simon Zelotes,” or “Simon the Zealot” (Acts 1:13, Luke 6:15). The Zealots were very much opposed to the removal of Jewish customs, and to the taxation from the Roman government, and desired to overthrow them—oftentimes by murder. Simon changed his allegiance from Jewish nationalism to the real Kingdom of God, headed by Jesus the Messiah. And this disciple stayed faithful unto death, and was a partaker of the promised “crown of life” (Revelation 2:10). Mark doesn’t give any misdirection or mystery when it comes to Judas: he introduces him to his readers as the betrayer, the one not to be trusted. At the time he was chosen, he was a willing and faithful disciple of Jesus, but he was still human, and gave in to the doubts, temptations, and greed that led to his betrayal of the Lord. This is why Luke 6:16 says that Judas “became a traitor” (ASV) or “turned traitor.” The name “Iscariot” is generally thought to mean “of Karioth,” a city in Judah, though some have suggested it means “man of Issachar,” or that it is from a Greek word meaning “Dagger carrier,” describing some of the murderous assassins that whose work eventually brought the Roman army in to destroy Jerusalem. The Bible tells us plainly that Jesus knew ahead of time that Judas was the one who would betray Him. John 6:64 says “Jesus knew from the beginning who they were that did not believe, and who should betray Him.” And just a few verses later, Jesus said, “Have I not chosen you twelve? And out of you, one is a devil!” (John 6:70). From the mountain to the house, these newly-chosen men go. This was a most momentous day for all thirteen men (the twelve chosen, plus Jesus). It was a day of joy, of satisfaction, of nervousness, and for some who weren’t chosen, it might have been a day of disappointment. But whether they all realized it or not, Jesus had done something that day that still has effects nearly 2,000 years later! To mankind as a whole, and even to Christians specifically, some of the apostles are nothing more than names. They are remembered for being apostles, disciples of Jesus, but that’s it. James, the son of Alphaeus, and Thaddaeus, and Simon the Zealot are all men whose works for God are mostly unknown to us today. Meanwhile, you’ve got Matthew, who is known more for his writing than anything else he did. Then there’s John, who is known for both his writings and some of his works as an apostle. And of course, none of us can forget Peter, who is well-remembered for his actions (both pre- and post-resurrection) in addition to his writings. But, there’s also Judas Iscariot. No one remembers him at all as the dedicated disciple he once was—but the traitor who he became. Of course, how man remembers us isn’t as important as how God remembers us. For example, the twelve apostles (that includes Matthias as the replacement for Judas) all died in faith, and their names are inscribed on the foundation of the heavenly city of New Jerusalem (Revelation 21:10-14). Simon and Thaddaeus are just as important in God’s eyes as Peter and John. But Judas, by transgression, fell and went to his own place (Acts 1:25). If we were to ask your friends to describe you, how long—if ever—would it take for the word “Christian” to come up? Is that what you’re known for? At all? If very few (if any) would describe you as a Christian, what does that say about your influence and your example for Jesus Christ? Now, if God materialized in front of us right now, and began to describe each one of us as HE sees us, would He use the word “saved” or “lost”? The Lord remembers what you do here on this earth, whether you obey Him or decide to do your own thing. He will bring that up at the judgment. You will have to give an answer. The judgment of God is completely up to you—how you live your life here determines what you will hear from the Lord up there. Why not make certain of your salvation today? The Text: Mark 3:1-12 – And He entered again into the synagogue; and there was a man there which had a withered hand. And they watched Him, whether He would heal on the Sabbath Day; so that they might accuse Him. And He says to the man which had the withered hand, “Stand forth.” And He says to them, “Is it lawful to do good on the Sabbath, or to do evil? To save a life, or to kill?” But they held their peace. And having looked round about on them with anger, being grieved for their hardness of hearts, He says to the man, “Stretch forth your hand.” And he stretched it out: and his hand was restored whole as the other. And the Pharisees went forth, and immediately took counsel with the Herodians against Him, how they might destroy Him. But Jesus withdrew Himself with His disciples to the sea: and a great multitude from Galilee followed Him, and from Judea, and from Jerusalem, and from Idumaea, and from beyond Jordan, and a great multitude of those around Tyre and Sidon, when they had heard what great things He did, came to Him. And He spoke to His disciples, so that a small ship should wait on Him because of the multitude, lest they should throng Him. Because He had healed many; insomuch that they pressed on Him in order to touch Him, as many as had plagues. And unclean spirits, when they saw Him, fell down before Him, and cried, saying “You are the Son of God.” And He strictly charged them that they should not make Him known. The King who has been announcing His coming Kingdom has already conquered some of the knights of the Kingdom of Darkness. But lately, as He’s trying to prepare people for His impending rule, a group of religious leaders—spokesmen for the way things are—have been growing bolder and bolder in opposing Him. The King has been relatively patient with them, all things considered, but that ends today. The Text, part 1 – Getting Jesus Angry (Mark 3:1-5). When we consider Jesus and His personality, most often we think of His caring, kindness, and compassion. We think of His helping the helpless, lifting the fallen, caring for the heartbroken. We don’t usually think of Him staring down a group of people with anger in His eyes—but that is what Mark paints for us in this passage. We mentioned this several lessons ago, but Jesus made it a point to meet in the synagogue each Sabbath Day. This serves as an example for us: make the time to meet together each week for worship to God. There was a man there who had a withered hand. Luke tells us that it was the man’s right hand that was withered (Luke 6:6). The Greek indicates that he was not born this way, but that it was withered as the result of something else, either a disease or an injury (Vincent’s Word Studies, and Robertson’s Word Pictures). The word “withered” means that his hand had shriveled up due to a lack of moisture and nutrients, and became completely unusable. Think about the horrible situation this man must have been in. In a time when most people did manual labor to support their family, this man couldn’t. He couldn’t hold the plow, couldn’t hoe the ground, couldn’t hammer nails (you need a hand to hold the nail in place)—he couldn’t even sweep the floor. Perhaps he had sons who could help with the work to support the family, but we don’t know that for certain. It’s just as likely that this man was in dire straits, feeling like a failure because he wasn’t able to do what a man is expected to do—provide for his own. They [the Pharisees] watched Him, whether He would heal on the Sabbath Day, so that they might accuse Him. The Pharisees, the ones who have been stirring up trouble, trying to call Jesus into question on seemingly everything He does, sat in the synagogue—not to hear the word of God proclaimed, but because they were trying to find something that they could use against the preacher. What a horrible attitude to have! It seems that as irritated with Jesus as the Pharisees were, they knew that they had been beaten in trying to find things to use against Him earlier. Otherwise, they would have already been satisfied with the evidence they had to accuse Him. But this, they believed, was the prime opportunity—healing a man must be considered working; therefore it cannot be done on the Sabbath! Now a quick question: why are you here? What is it that you are focused on? Is it on trying to criticize people: the prayer leaders, the song leader, or the preacher? Or is your focus on worshiping God and trying to be right with Him? Because the man leading the prayer is going to occasionally mis-speak or stumble over words. The song leader will sometimes get the song too high or too low or get mixed up on the verses or words. The preacher, too, will sometimes say the wrong book, chapter, or verse, or will get his words mixed up. If being critical is what you’re here for, you will find something, because we aren’t perfect. But by the same token, if you are here to worship God, and have your focus on Him, His will, and on how you can be a better Christian, then you will be blessed by the songs, prayers, and sermons on the Lord’s Day. Jesus didn’t do this miracle in a corner, hidden away from everyone else. He wanted the crowd to see what was about to happen. Some people might say that this is a contradiction of Jesus’ command to do your alms in secret (Matthew 6:1-4). But the purpose of Jesus doing this miracle was to cause people to believe in Him and listen to His message. Whereas, in the Sermon on the Mount, Jesus instructed His disciples to help people for the sake of helping them, not because it made you look more spiritual, drawing praise from men. So, He commands the man to stand up. He’s now turned His attention, for a moment, from the man to the Pharisees, whom He knows are trying to be critical of Him and find something to accuse Him of. Jesus isn’t asking them if it’s permissible to do anything on the Sabbath, but presenting to them two options. All the Pharisees would agree that not everything is forbidden on the Sabbath Day, so that means some things are allowed. The question to them is: What does the Law allow on the Sabbath—good deeds or evil deeds? There was nothing they could do to get around this question. Obviously, the Law never permitted evil to be done, so that wasn’t the answer. At the same time, as Jesus asks this question, He’s laying some groundwork for what He’s about to do. He could not perform a miracle, healing this man of his withered hand, except through the power of God. And if Jesus heals the man, it shows that God approves of doing good on the Sabbath—in other words, it would prove Jesus right and undermine the foundation of the Pharisees’ thinking. It was obvious to all that were there, especially when Jesus told the man to stand up, that He planned on healing this poor man. Jesus began His question to the Pharisees with just a general “is it lawful to do good or to do evil?” But now He takes His question to the extreme, “Is it lawful to save a life or to kill?” Most rational people (even among the Pharisees) would admit that it was permissible to save a life (regardless of how much work it would take) on the Sabbath. The man with the withered hand was a case that certainly fell between simply “doing good” and “saving a life.” Thus, Jesus proved His point. But it is also interesting that Jesus proposed to do good on the Sabbath, while the Pharisees were thinking evil, trying to take mental notes so that they could make accusations against Him later. And after this incident, as we will see momentarily, they started making plans to kill Jesus that very Sabbath. But they held their peace. The answer to the question was so clear, so obvious, but they refused to answer because it would incriminate them, their motives, and their teachings. Just like when Jesus asked them later about the baptism of John, they refused to give an answer because they would look bad either way. Matthew records Jesus asking another question: “What man will there be among you, that will have one sheep, and if it falls into a pit on the Sabbath Day, will not lay hold of it and lift it out? How much then is a man better than sheep? Therefore it is lawful to do good on the Sabbath Days” (Matthew 12:11-12). The Pharisees would absolutely save their sheep on the Sabbath, but they wanted to hold Jesus to a different standard than they were willing to hold themselves. How often do we see this happen in families, in our jobs, and even in the church? Look, let’s make this abundantly clear—we will all stand before the judgment seat of Christ and held to the STANDARD, and that is the Word of God. If we are faithful to God’s word, then we will be saved, regardless of whether we match up with someone else’s standard or not. It’s like the preacher who was told by a member, “I don’t have to visit, but you’ll be fired if you don’t.” And Jesus has some words for people who are like that: “Do not judge [condemn], so that you will not be judged [condemned], for with what judgment you judge, you shall be judged” (Matthew 7:1-2). When you start making demands of others, yet don’t follow them yourself, you are a hypocrite; and at the judgment, you will be judged by God in the same way that you have judged others. The word here is a form of periblepo, which means not just looking at them, but looking around at them, making sure he looked at every one of them. And this word doesn’t just express the fact that He looked at them all, but that He looked at each one of them for Himself. He looked at their faces, confirming what He already knew. Some probably stubbornly looked at him without a word, while others probably glanced away or looked down so they didn’t have to meet His eyes. Picture the face of Jesus with the scowl, the angry fire in His eyes as He looks at each of these men who had their own disciples, but weren’t willing to answer a relatively simple and obvious question. Mark tells us exactly what it was that made Jesus angry. People who were sincere and honestly wrong, Jesus and the apostles had patience with; but the Pharisees weren’t sincere, nor were they honestly wrong (as in simply mistaken). They were intentionally stubborn, recognizing the truth of what Jesus said, but unwilling to admit it or live by it. They were more interested in their position as leaders than they were in doing what was right. They liked the power and weren’t about to give any of it up, even though they were about as ungodly as one can be. This attitude of stubbornness angered our Lord and Savior then, and brethren, it still angers Him today. There are members who have the attitude of criticism toward others. There are members who stubbornly reject commands of Jesus because they simply don’t feel like following them (mostly attitude ones). And if anyone dares point that out to them, watch out! My friends, that is the hardness of heart that made Jesus angry—and you do not want the Judge of the world to be angry with you! He says to the man, “Stretch forth your hand.” And he stretched it out, and his hand was restored whole as the other. Jesus got angry with the Pharisees because they were hard-hearted. The Pharisees, in return, got angry with Jesus. Why? Because they couldn’t control His every move. Because He dared to point out their traditions weren’t Scripture. Because he wouldn’t cater to their self-centered whims. And because people were happy with Jesus’ life and work—the Pharisees were losing some of their power over people. And the Pharisees went forth and immediately took counsel with the Herodians against Him, how they might destroy Him. Just how angry were the Pharisees? They were so angry that they immediately contemplated murder. They were so angry that Luke describes them as “filled with madness” (Luke 6:11), or perhaps more literally, “filled with insanity.” They were so angry that they went to their political enemies, seeking to work together to destroy Jesus. The Herodians were a sect of the Jews who were very enthusiastic supporters of the Roman government, specifically of the Herods who had ruled over them (for Rome) for the previous several decades. But when you dislike someone and you’re trying to get rid of him, it doesn’t really matter to you how you do it, so long as you can actually get it done. Even though Jesus knew what was on the minds of the Pharisees, He didn’t let that stop Him from doing the good that He came to do. Even when we might be persecuted by Satan and his minions (yes, sometimes that even includes members of the church), we can’t let that stop us from doing the work of God—that’s what Satan wants! The Pharisees went out, discussing how to get rid of Jesus. Meanwhile, Jesus went out, continuing to work for God. His fame had spread throughout all of Galilee (most of the events in Mark up to this point took place there), and so it’s no surprise that huge numbers came out to see Him and hear Him and ask for healing from Him. This is the southern portion of the Promised Land, where Jesus had spent some time baptizing people (through His disciples) back in John 3-4. The people following Jesus were not just the smaller towns and villages of Judea, but some were from the capital city of Jerusalem itself! Idumaea is the land of Edom, descendants of Esau. About 150-200 years prior to this event, a Jew named John Hyrcanus took over and reigned as king over the Jews. One of the things he did was force the Edomites to either submit to circumcision and become Jews or die. So, while these weren’t pure-blooded Jews, they were related, and had been proselytized to Judaism. The tribes of Reuben, Gad, and half of Manasseh took up residence on the eastern side of the Jordan River when they came to the Promised Land. Even hundreds of years later, by the time Jesus arrived on the scene, there were still Israelites that lived there. These cities were to the north-west of the Sea of Galilee. Tyre was destroyed in part by Nebuchadnezzar, and then the job was finished by Alexander the Great. But there were still Jews that lived in that general area. There was a great multitude from Galilee, and a great multitude from these other areas, which covers practically the entire area that God had promised to the Israelites in the Old Testament. This was an enormous group of people coming to Jesus. They heard about the great works Jesus was doing, and they wanted to come to Him and see for themselves, and to receive some of the same healings. To an extent, we can look to this as an evangelistic outreach—when we do things for other people, word spreads. And He spoke to His disciples, so that a small ship should wait on Him, because of the multitude, lest they should thong Him. There were so many people coming and crowding around Jesus that He needed a way of escape to keep from being thronged—Thayer says the word means pressed like a grape. It wasn’t Jesus’ time to die, and being crushed to death by His followers didn’t exactly fit with the prophecies of the Old Testament. Sometimes, we need to get away for a little while. Sometimes we’ve got so much going on, so many people wanting part of our time, that we need to have a way to get away from it all, our own “small ship,” so to speak. Because it we don’t, we could find ourselves crushed, and lose our ability to bear fruit for the Lord. Because He had healed many; insomuch that they pressed on Him to touch Him, as many as had plagues. Literally, they were rushing on Him, crowding Him, shoving at each other in an effort to get to Him and touch Him, in the hopes that by doing so, their sicknesses would be removed. They had seen/heard others that were healed, and they wanted it too! Matthew 12:15 says that Jesus healed everyone that came to Him, so Mark is probably talking about the demon-possessed people falling down before Jesus because of the demons inside them recognizing Him. As James tells us, “the demons also believe, and tremble” (James 2:19). These demons must have known that they were about to be cast out, and so they tried to do what they could to hamper Jesus’ work. If the crowd was close to crushing Jesus to begin with, how much more so do you think it would get if they caught wind that Jesus was not just a man sent by God, but was in fact very the Son of God? And Jesus strictly charged them that they should not make Him known. The way it is written in Mark makes it seem like He’s telling the demons not to make Jesus known, but He’s actually talking to the people, the great multitudes that came to Him, whom He healed. We know this because of Matthew’s account—Jesus healed them all, which would include the demon-possessed people. Therefore, those demons would have been cast into the abyss (Luke 8:31), and not had the opportunity to make Him known. Also, in Matthew’s account, the demons aren’t mentioned, and Jesus “charged them [the people who were healed] that they should not make Him known.” (Matthew 12:15-16). Jesus didn’t want the talk of the miracles to spread even further, because there was already a dangerously-sized crowd mobbing Him. It was already to the point where everyone was primarily interested in the miracles—not in the message that Jesus had to speak. Jesus didn’t want that trend to continue and perhaps grow even worse. It would be, I would think, incredibly difficult to keep it to yourself if you’d been healed, though. But like some other commands, Jesus still expects us to follow them, even if they are difficult. That’s why He said the words “Be thou faithful unto death—[even if it means dying]—and I will give you a crown of life” (Revelation 2:10). Jesus had compassion on a man whose physical ailment kept him from being able to work. It was in His power to fix the problem, to help the man, and so He did. If we have it within our power to help someone to be able to work, to support themselves and their family, then we ought to also have compassion on them enough to offer that help. It could be something as simple as giving someone a ride to fill out an application, or making a phone call to a friend who might be looking to hire someone. But take compassion on those who can’t work. Jesus was angry, yet He didn’t sin. His anger stemmed from the sinful attitude of the Pharisees—the religious leaders of the day. They were continually looking for things to throw at Him—even though those things weren’t sinful. It made Him angry when their hard-heartedness kept them from admitting the truth. It made Him angry when they were looking for reasons to criticize Him instead of seeing that God approved of His actions and teachings through the miracles. As a side note, Jesus also shows that there’s never a wrong time to do good for others. Jesus did a good deed in healing that man, but the greatest thing He ever did was dying on the cross, taking with Him the sins of all of God’s faithful followers. That sacrifice is meant for me and for you, but only if we come to Jesus in faithful obedience, believing in Him, repenting of our sins, and being baptized. Then we must continue to grow, staying true to Him, even during the difficult times. When we mess up as one of God’s children, we come to Him in prayer, seeking forgiveness. Won’t you come take hold of that precious gift of salvation today? Even Mark’s Roman readers knew about the Jews and their Sabbath Day activities (or lack thereof). It’s somewhat like Roman Catholicism today, in that there are certain aspects of that religion that are known throughout the whole world (priests, papacy, cathedrals, etc.). Judaism was the same way, you couldn’t go anywhere in the Roman Empire where the people didn’t at least know about the Jews and some of their seemingly strange Sabbath customs. But Mark also continues to show the antagonism towards Jesus, building up the tension that would eventually lead to their murder of the Son of God. The Text, part 1 – Accusing the Disciples on the Sabbath (Mark 2:23-24). There’s a progression of sorts in the way Mark has presented these events in chapter two and the relationship with the scribes and Pharisees. (1) The scribes think evil of Jesus, (2) the scribes and Pharisees question Jesus disciples about Jesus, (3) the Pharisee’s disciples ask Jesus about His disciples, and now (4) the Pharisees flat-out accuse Jesus’ disciples of breaking the law (and implicitly accuse Jesus of approving of law-breaking). It happened that He went through the grain fields on the Sabbath Day, and His disciples, as they went, began to pluck the ears of grain. First, it might be worth mentioning that the Pharisees seem to be following Jesus around, looking for things to complain about, jealous that people are following Him, and repulsed by His embracing tax collectors and sinners (this is spelled out for us in the beginning of chapter three). There is nothing in this account to give the impression that the Pharisees were somehow innocent bystanders who just happened to see this, and then ran to Jesus with sincere concern about the spiritual welfare of His disciples. Nothing of the sort! The first thing they do is accuse Jesus of not paying attention. You might ask where that comes from, and it’s them saying, “Behold!” or “Look!” implying that Jesus wasn’t paying attention to those who were following Him. The second thing they do is accuse the disciples of breaking the Law of Moses. The Jews had been sent into captivity in Babylon because of idolatry and violating the Sabbath. The Pharisees were so determined to make sure they didn’t violate the Sabbath that they put up extra rules, and interpreted the laws so strictly that they wouldn’t even come close to breaking the Sabbath commandments. In and of themselves, those extra rules weren’t bad. But when the Pharisees started binding those rules on others, accusing them of violating God’s Law because they didn’t follow the man-made Pharisaical rules, it became sinful. One of those extra rules was that plucking a single head of grain on the Sabbath meant you were violating God’s law by harvesting on the Sabbath. If you took a single grain of wheat and rubbed it between your fingers to get the outer husk off, that meant you were threshing—thus violating the Sabbath. One writer said that these Pharisees were so caught up in their rules that if Jesus’ disciples had walked through the field in the morning, when there was still dew on the grass, the Pharisees probably would have tried to accuse them of irrigating on the Sabbath! (Burton Coffman, notes on Mark 2:23). The third thing they do is accuse Jesus of endorsing Law-breaking. If Jesus says nothing to His disciples, then He consents to their actions. And if that’s the case, then the Pharisees could discredit Him before the people. The Text, part 2 – Answering the Objection (Mark 2:25-26). The response from Jesus is certainly not what they expected, and is also one that seems to have confused many Christians as well. This example of David is found in 1 Samuel 21. The first parallel is that David and his men were hungry, and Jesus’ disciples were hungry. David went to the tabernacle (the temple was not yet built), but the same laws applied for the priests and the showbread in both places. And he ate the showbread, which is not lawful to eat, except for the priests, and gave it also to those who were with him? Some have drawn the conclusion from this example that Jesus was agreeing with the Pharisees, that yes, His disciples were violating the Sabbath. But that’s not a valid conclusion. Lit., the loaves of proposition, i.e., the loaves which were set forth before the Lord. The Jews called them the loaves of the face, i.e., of the presence of God. The bread was made of the finest wheaten flour that had been passed through eleven sieves. There were twelve loaves, or cakes, according to the number of tribes, ranged in two piles of six each. Each cake was made of about five pints of wheat. They were anointed in the middle with oil, in the form of a cross. According to tradition, each cake was five hand-breadths broad and ten long, but turned up at either end, two hand-breadths on each side, to resemble in outline the ark of the covenant. The shewbread was prepared on Friday, unless that day happened to be a feast-day that required sabbatical rest; in which case it was prepared on Thursday afternoon. The renewal of the shewbread was the first of the priestly functions on the commencement of the Sabbath. The bread which was taken off was deposited on the golden table in the porch of the sanctuary, and distributed among the outgoing and incoming courses of priests (compare save for the priests). It was eaten during the Sabbath, and in the temple itself, but only by such priests as were Levitically pure. This old bread, removed on the Sabbath morning, was that which David ate. (Vincent’s Word Studies, notes on this verse). Or haven’t you read in the Law, how that on the Sabbath Days, the priests in the temple profane the Sabbath, and are blameless? That is, the priests are expected to work on the Sabbath, which (if we’re being legalistic like the Pharisees) is a violation of the Law of Moses. But because they are doing the work of the temple, they are free from blame. But I say to you, that in this place is one [who is] greater than the temple! Thus, even if what the disciples did could technically be seen as a violation of the Law of Moses (and Jesus is not saying that they were violating it), the fact that they are in service of one greater than the temple renders them blameless from the Sabbath restrictions. But if you had known what this means: “I will have mercy, and not sacrifice,” you wouldn’t have condemned the guiltless. The priest in 1 Samuel 21 had mercy on David and his men, and offered them something that was supposed to be reserved for the priests. But the point I want you to get from this is that Jesus said very clearly that His disciples had not broken the Law of Moses. They had not broken it by principle, by precept, or by anything else. The extra rules of the Pharisees were so strict and unbending that they completely missed the whole idea of mercy and of “thus saith the Lord”! The Pharisees wouldn’t dare to condemn David for his actions which Jesus said were “not lawful.” David goes and takes something that has been consecrated to God, something that has been set aside for only the priests, and eats it with his men—and the Pharisees wouldn’t dare condemn their hero for doing that. Yet they would gladly condemn Jesus and His disciples for picking a few heads of grain out of a field. Compare the two events, and if you had to pick one to deem sinful, it has to be David’s. But not with the hypocritical Pharisees. The Text, part 3 – Man’s Relationship to the Sabbath (Mark 2:27-28). What could the Pharisees possibly say in response to this? If they continued to insist on condemning Jesus’ disciples, they had no choice but to condemn David for his actions. They were beaten. But Jesus didn’t stop there. He gave a concluding thought for them to chew on. The entire basis of the Sabbath Day comes from the first week of creation. God created the heavens and the earth, the sun, moon, and stars, the plants and animals, the atmosphere, and mankind too, all in six days. Then, on the seventh day (the Sabbath), God rested (Genesis 1). When the Law of Moses was given to the Israelites, they were told to remember the Sabbath Day, to keep it holy, because God created everything in six days and rested on the seventh (Exodus 20:11). In fact, Jehovah Himself says, “In six days Jehovah made heaven and earth, and on the seventh day He rested, and was refreshed” (Exodus 31:17). God didn’t rest because it was the Sabbath and He was forced to do it; He rested because He was done for the week, and wanted to be refreshed. God gave the commandment regarding the Sabbath, not because the seventh day somehow needed mankind, but because man needs a time to rest and be refreshed. We need a break. The commandment to observe the Sabbath was for man’s benefit. All of this goes together to show that the rules and regulations that the Pharisees added to the Law were completely destroying the spirit of what God intended the Sabbath to do. God gave it as a required “day off,” whereas the Pharisees made it as a day where you could hardly do anything—turning it from a day of rest to a day of constant worry. It appears as though Jesus is referring to Himself here, though there are those who think that this is simply a reference to mankind in general. The point, however, remains the same: Jesus is not a slave to the Sabbath, but is Master over it. As we will see in the next study, Jesus makes it very clear that the Sabbath was never given to prevent people from doing good deeds to others. He asks elsewhere whether it is permissible to get your ox out of the ditch (which is an awful lot of work) on the Sabbath. Since this is the case, then Jesus’ disciples are also not slaves to the Sabbath. Again, the Sabbath was a day to benefit man, not a day to restrain his every move. But consider a little bit more that Jesus says He is Lord of the Sabbath. Some people have taken this statement and assumed that Jesus means He can violate the Sabbath Laws all He wants because He’s God and isn’t bound by them. Yet if Jesus really violated the Law of Moses, then He sinned, and His sacrifice was completely worthless to save us. Jesus didn’t ever violate the Law of Moses, but lived perfectly, without sin. Whatever the Scriptures said specifically regarding the Sabbath, Jesus obeyed. He didn’t just keep the letter of the Law, but also the spirit of the Law. That serves as an excellent example for us today. We have things that we do, traditions, that are fine in and of themselves, but we can’t become like the Pharisees and condemn other Christians for not doing the same thing. One example is Sunday evening services. We have them, and it is a great opportunity to gather together for additional time to read and study God’s word, have fellowship with each other, be strengthened, and sing praises to the God of heaven. But I know of some brethren who question a congregation’s faithfulness if they only meet once on Sunday. I remember hearing, as I was growing up, someone insinuating that if you used “Song of the Church” (the songbook we have here) instead of “Sacred Selections for the Church,” you were headed into liberalism. The person who said it meant well, wanting to make certain there was no way that we might end up singing some of the songs that were “questionable,” but to then seek to bind the choice of songbooks on others is ridiculous! When I lived in Arkansas, a man who was visiting once told me that we were unscriptural because we didn’t end our services with the Lord’s Supper. In short, if you can prove from the Bible that it is supposed to be a specific way, then show it, stand by it, and never forsake it. If it is in the realm of choice, expediency, or opinion, then with grace we should permit others the same liberty that Christ gives us. Jesus had strong words about the Pharisees in Matthew 23, and I don’t want anything like that to be said of me by our Lord. It is amazing how many people think that the laws of God are arbitrary, when in truth they actually benefit the ones obeying. Beyond salvation, there are commands that actually make life much better here on earth. There are commands about working hard, as though you were working for the Lord Himself—have you noticed that if you are a hard, diligent worker, you generally are able to keep your job? There are commands about not being a gossip—have you noticed that relationships are better and there is more peace when there is no gossip? There are commands about how to treat others—have you noticed that when you follow those commands, you have more friends, better friends, better relationships, better marriages? Just like the Sabbath, we need to remember that those commands were given for our benefit—and remember that God knows best! God knows what is best for us here on this earth, but He also knows best when it comes to attaining that eternal home with Him. We don’t have to go with any man-made doctrine, because God, in His wondrous mercy, gave us all we need to have eternal life and forgiveness of our sins. His word, the Scriptures, lay it all out for us. We must hear about Jesus, the one who was crucified and raised from the dead; we must believe that He is the Christ; we must repent of our sins; We must make that good confession of our belief; and we must be baptized into Him for the remission of sins. Have you done that? And Jesus said to them, “Can the sons of the bridechamber fast while the bridegroom is with them? As long as they have the bridegroom with them, they cannot fast. But the days will come when the bridegroom shall be taken away from them, and then they shall fast in those days. “Also, no one sews a piece of new cloth on an old garment: otherwise the new piece that filled it up takes away from the old, and the tear is made worse. One of the most neglected items of Christianity and religious devotion to God is fasting. Think about it for a moment: Jesus fasted; Jesus taught about how to fast; the early church fasted; the apostle Paul fasted. We have more examples of fasting in the New Testament than we do of meeting on the first day of the week, yet for many Christians, fasting is completely ignored. Is this the way it should be? Keep that question in your head as we look at this event in the life of Jesus. Jesus is still sitting at Matthew’s house, eating with the tax collectors and sinners, when this incident takes place. The disciples of John and of the Pharisees were fasting. The King James Version says “used to fast,” but literally, Mark says that the disciples of John and of the Pharisees were fasting. That is, they were fasting at that moment. The Pharisees fasted each Monday and Thursday, and bound that on their disciples, so this took place on one of those two days. The disciples of John held fasting in high regard as well, especially since their teacher (John the Baptizer) had a diet (locusts and wild honey) that was almost continual fasting. There were hypocritical fasters who twisted their faces up in pain, letting everyone know that they were fasting. The Pharisees are probably the ones that Jesus was talking about when he said that during His Sermon on the Mount (Matthew 6:16). And this shall be a statute forever to you: in the seventh month, on the tenth day of the month, you shall afflict your souls, and do no work at all…for on that day the priest shall make an atonement for you, to cleanse you, that you might be clean from all your sins before the Lord. It shall be a Sabbath of rest to you, and you shall afflict your souls, by a statute forever. (Leviticus 16:29-31). The same thing is mentioned in Leviticus 23 and Numbers 29. [They said:] We have fasted, and You don’t see it! We have afflicted our soul, and You take no knowledge! [God replies:] Behold, in the day of your fast, you find pleasure, and exact all your labors. Behold, you fast for strife and debate, and to smite with the fist of wickedness. You shall not fast as you do today to make your voice heard on high. Is it this kind of fast that I have chosen? A day for a man to afflict his soul? Is it to bow down his head like a bulrush, and to spread sackcloth and ashes under him? Will you call this a fast and an acceptable day to Jehovah? (Isaiah 58:3-5). Thus, we can see that fasting was not inherently righteous nor inherently wicked—it all depended on the attitude of the ones fasting. So keep that in mind when we see the question that the disciples of John and the Pharisees asked Jesus. The disciples of John were, if they paid attention to John’s teachings, honest souls who were seeking to please God and prepare themselves for the coming Kingdom of God. Thus, we shouldn’t assume they had any ill intentions when asking this question. They were probably asking an honest question. The disciples of the Pharisees were quite possibly in the same situation, being taught that they’re supposed to fast twice a week, but confused as to why Jesus—a clear religious leader who could work miracles—wasn’t making His disciples fast. We should stop here for a moment and note that when you do things differently, people tend to notice. “You don’t use instruments; why not?” or “Why don’t you have big fancy buildings?” Don’t be ashamed, but use it as an opportunity to teach people something about the church of the Bible. Jesus didn’t have anything against fasting, if done for the right purposes. After all, Matthew tells us that He fasted for 40 days after His baptism when He went into the wilderness to be tempted by Satan (Matthew 4:1-2). Later on, Jesus gave instructions for how His disciples were supposed to fast: not making a show of it (Matthew 6:16-18). And in His answer that He gives on this occasion, He foretells that His disciples will fast—just not while He was on earth. Can the sons of the bridechamber fast while the bridegroom is with them? In ancient wedding ceremonies, a group of men would accompany the groom to the bride’s house and when the bride came out, they escorted the two of them back to the groom’s house. This was followed by a celebratory feast that usually lasted seven days. It was a time of joy and celebration. It would have been inappropriate and rude to fast during such an event. The use of the bridegroom illustration might seem strange, but remember that John the Immerser had already described Jesus to his disciples as the bridegroom (John 1:28-30). John’s disciples, therefore, should have caught the reference. As long as they have the bridegroom with them, they cannot fast. Literally, Jesus says, “As long as they have the bridegroom with them, they do not have the ability to fast.” They are to be celebrating, not fasting. To fast would be an insult to the groom, the bride, and the family. But the days will come, when the bridegroom shall be taken away from them. Wedding celebrations do not last forever; there comes a time when they end. Here, Jesus makes it clear that He’s not going to be on earth forever; there will come a time when He will not just be gone, but He will have been taken away. This is a hint, a prophecy of His death, but also to His ascension, when He was taken away into the heavens (Acts 1). Then they shall fast in those days. The conclusion of Jesus’ initial answer to the disciples of John and of the Pharisees is that His disciples will fast, but that it would be inappropriate to fast while they’ve got Him with them. The fasting of disciples of Jesus would take place after He ascended into heaven. The Bible bears this out, showing that His disciples—Christians—did fast. Now there were, at the church in Antioch, certain prophets and teachers; Barnabas, Simeon that was called Niger, Lucius of Cyrene, Manaen which had been brought up with Herod the Tetrarch, and Saul. As they ministered to the Lord, and fasted, the Holy Spirit said, “Separate me Barnabas and Saul for the work whereunto I have called them.” And when they had fasted and prayed, and laid their hands on them, they send them away (Acts 13:1-3). And when they [Paul and Barnabas] had ordained them elders in every church, and had prayed with fasting, they commended them to the Lord on whom they believed (Acts 14:23). Do not defraud one the other, except it be with consent for a time, that you may give yourselves to fasting and prayer…(1 Corinthians 7:5). …do not receive the grace of God in vain…giving no offense in anything, that the ministry be not blamed: but in all things approving ourselves as the ministers of God, in much patience, in afflictions, in necessities, in distresses, in stripes, in imprisonments, in tumults, in labors, in watchings, in fastings… (2 Corinthians 6:1, 3-5). Moreover, when you fast, do not be like the hypocrites, with a sad countenance: for they disfigure their faces, so that they might appear to men to fast. Truly, I say to you, they have their reward. But you, when you fast, anoint your head and wash your face; so that you do not appear to me to fast, but to your Father which is in secret: and your Father, who sees in secret, shall reward you openly. Lay not up for yourselves treasures on earth, where moth and rust corrupt, and where thieves break through and steal: but lay up for yourselves treasures in heaven, where neither moth nor rust corrupts, and where thieves do not break in and steal: for where your treasure is, there will your heart be also (Matthew 6:16-21). Fasting with a purpose to focus on God is laying up treasure in heaven! After showing by his first illustration that it would be inappropriate for His disciples to fast while He was there, Jesus gave two parables which illustrate the point from a different angle. No one sews a piece of new clothing on an old garment: otherwise the new piece that filled it up takes away from the old, and the tear is made worse. Jesus is bringing the new Kingdom of God. He’s not bringing a reform of Judaism, not trying to add something new to the Old Testament. He’s coming to fulfill the Law, bringing it to its conclusion. You wouldn’t take a brand-new piece of fabric and sew it over a hole in some old clothes, because when you wash it, the new fabric is going to start to shrink, and it will rip the hole even larger. You can’t mix the old and new fabrics. Similarly, you can’t mix fasting and celebrating—they don’t go together. Without coming out and saying it, Jesus was announcing the end of the Old Testament system, the end of the Law of Moses, which would be replaced by the New Testament. He did this by “nailing [the Old Testament] to the cross” (Colossians 2:14). No one puts new win in old wineskins: otherwise the new wine bursts the skins and the wine is spilled and the wineskins will be ruined. But new wine must be put into new wineskins. No one with any knowledge of wine and the leather pouches they stored them in would consider putting new wine in an old, stretched skin, because it would waste the wine and destroy the skin in the process. Instead, it was to be put in a new skin pouch so that it could stretch and expand as the wine fermented. This was a common process that most people were at least familiar with. Jesus is teaching about a coming kingdom, and the illustration here is basically saying that you can’t force His teachings into the rites and rituals of the Old Testament (and especially of the traditions of the Pharisees) regarding fasting. Some have suggested that the disciples of John and the Pharisees are to be viewed as the “old wineskins” and the “old garment” that were unable to accept the new teaching of Jesus; and that perhaps Jesus is teaching them they have to destroy their old ways of thinking before they can accept the new truth that He is bringing them. Obviously some of John’s disciples could accept the teaching, for some of them became apostles, but Luke’s account adds these words of Jesus: “Also, no man having drunk old wine immediately desires the new, for he says ‘The old is better’” (Luke 5:39). If this is seen as more of a general statement instead of a hard and fast rule, then this interpretation is something worth considering. How should Christians Fast Today? Probably the biggest questions people have regarding fasting are (1) should Christians do it, and (2) if they should, how should they do it? Since fasting is often coupled with prayer, think about it. We aren’t given the specifics for every single time we are to pray, and how long to pray, exactly what words to use, but that doesn’t change the fact that we know we’re supposed to do it. Jesus gave commands on how to fast, which we read earlier, and He didn’t give commands that were irrelevant to His people—therefore, Jesus expects us to fast. But the details about how long and when aren’t given specifically to us, and are therefore up to our own judgment. I used to tell people that I fasted four times a day, only taking breaks for meals. Maybe choose a day where you’re going to skip just a meal in order to spend time studying God’s word or spending a long time in prayer. One congregation I know of fasts from Tuesday evening until Wednesday evening when they all come together to share a meal before Bible study. Whatever you decide to do, however you decide to do it, make it a time to grow closer to God and show your dedication to Him. The Old Testament was nailed to the cross, but there are a lot of people who want to drag parts of it down. Some groups demand keeping the Sabbath (which was only ever given to the Jews). Others say that Sunday is the “Christian Sabbath,” but when you realize that Sunday is the “first day of the week” and “Sabbath” is the Hebrew word for “seventh,” you’ve got problems—seventh is not the first, and vice versa. We’ve got friends who insist that we have to stand with Israel because they’re God’s people. No, Christians are God’s people, the Jews were rejected because they rejected Jesus. If you want to say we should stand with Israel because they are our friends and allies, then that’s a different discussion (a political one), but in no way, shape, or form are the Jews still God’s people today unless they have become Christians. They can become Christians the same way that you can become a Christian. There is just one gospel, the power of God to save souls, both Jews and Gentiles (Romans 1:16). That gospel is the good news about Jesus Christ and His sacrifice on the cross on our behalf. You believe that good news, let that belief cause you to repent and confess Him, and then be buried with Him in baptism for the remission of sins (Acts 2:38, Romans 6:3-5). After so doing, live faithfully to the best of your ability and you will have a home awaiting you with God and Jesus forever! The Text: Mark 2:13-17 – He went forth again by the seaside; and all the multitudes came to Him, and He taught them. And as He passed by, He saw Levi, the son of Alphaeus, sitting at the tax office, and said to him, “Follow me.” And he arose and followed Him. And it came to pass, that, as Jesus reclined [at the table] in his house, many tax collectors and sinners also sat together with Jesus and His disciples: for there were many, and they followed Him. The Pharisees taught that if you ate with a sinner, it was the same as eating with a Gentile—you were unclean. They completely rejected an entire segment of society as those who had thrown away their chance to be right with God, and we’re worth rescuing. In contrast, Jesus, the King, the Son of God, actively sought those kinds of people, inviting them to come back to God in repentance. It should probably go without saying, but which of the two examples should we be following today: Jesus’ or the Pharisees? After healing the paralyzed man in Capernaum, Jesus left the house and went to the Sea of Galillee, where the crowds followed Him. In my head, I always imagined a large lake, peaceful and uninhabited. But Capernaum was a fishing village. There would have been several boats on the lake, some on the shore, with people buying and selling, little booths set up here and there. But there was still more room here than in the house, or even in the city itself, for the crowds that wanted to see Jesus. It seems like Mark is trying to make a point to his readers by this statement. Jesus had just healed a paralyzed man, and He had the crowd’s complete attention. Now, He teaches them. He’s not doing any more miracles right now, He’s telling them about God’s Empire, the Kingdom of Heaven. He’s telling them to repent. In short, He’s calling them to join His side—emphasizing the message is more important than the miracles. The way this is worded, it seems as though Jesus was teaching the people as He walked along the Sea of Galilee. If this is the case, it would fit in well with Mark’s portrayal of Jesus as a Man of action, constantly moving and working. And as Jesus passed forth from there, he saw a man, named Matthew, sitting at the tax office: and He says to him, “Follow me.” And he arose and followed Him. He’s also called the “son of Alphaeus,” which is significant, because in chapter three, we’re introduced to another man who is also called “the son of Alphaeus”—James, one of the twelve apostles. Levi (we’ll call him Matthew from here on out) was sitting at the tax office, or “toll booth,” near the sea where the ships landed from the other side. It is said that Herod taxed the things coming in and going out from that port. It was a place of taxes for merchants who were bringing their things in from Damascus towards Jerusalem or to the port of Caesarea, where it could be taken almost anywhere. It was a busy place, and a lot of money was brought in. He…said to him, “follow me.” And he arose and followed Him. Certainly, working at the edge of Capernaum, Matthew was a resident of the city. As such, there is no doubt that he had heard about Jesus’ miracles, and perhaps even seen some of them himself. It’s possible that he had family or friends that were healed. So it is not as though some total stranger was asking him to leave his job and follow after him. There was a basis, a reason for Matthew to get up and follow the King. After getting up and leaving the tax office, Matthew invited Jesus to his house for a feast (Luke 5:29). That’s when the antagonism against Him reared its ugly head again. It came to pass, as Jesus reclined in [Matthew’s] house, that many tax collectors and sinners sat also together with Jesus and His disciples. Matthew must have had a decent-sized house for “many” tax collectors and sinners to sit at this great feast along with Jesus and His disciples (however many that was at this point). But take special notice that Jesus was willing to spend time with sinners—and also note that these were children of God, people in a covenant relationship with God, who had gone astray. But Jesus still spent time with them, and ate with them. He didn’t endorse their actions, nor was He somehow guilty by association. He spent time with them because…well, we’ll get to that in a moment. There were many tax collectors who followed Jesus, and many sinners that followed Jesus. It’s possible that when Matthew left the tax office, others did as well, recognizing Jesus as the miracle-working teacher from God. And also take notice that Jesus was now recognized as a religious figure—one who was willing to accept them. They had, for so long, been shunned, neglected, and rejected by the Pharisees and scribes, made to feel like they could never have God’s love of forgiveness. And now, here comes someone who has proven He was a man of God by miracles, and He’s preaching a message of “God loves you and wants you back; He wants you to repent.” It’s no wonder they flocked to Him! These two groups were to be a constant thorn in Jesus’ side the rest of His time on earth. The scribes, you’ll remember, were the ones mentally accusing Jesus of being a blasphemer in Mark 2:6-7. Mark accurately portrays them as the bad guys. And while he didn’t mention the Pharisees specifically in that incident (though Luke tells us they were involved), he does bring them up here. If the scribes and Pharisees saw Jesus eating with the tax collectors and sinners, they were either (1) also at the feast with the tax collectors and sinners, or (2) they were outside and saw Jesus entering the house. If you look at the Greek words, it’s hard to conclude that they were outside. Jesus was in the house, and they saw (literally “saw with the eyes”) Jesus eating. So when these two groups of people start complaining and questioning about why Jesus would eat with tax collectors and sinners, they’re being hypocrites, for they are at the feast as well. Mark is really driving this point home, repeating the phrase “tax collectors and sinners” thrice in two verses. By this time, the readers would have caught on that Jesus’ Kingdom is different, and one that is greatly concerned with spiritual preparedness and moral goodness. So when they see Jesus talk to a tax collector (no one likes tax collectors—unless you’re working for the government), and go to his house to spend time with more tax collectors and sinners, they might have been wondering what was going on as well. If you’re trying to gather citizens for your Kingdom, Jesus, why would you choose tax collectors—the people no one likes? And why, if your Kingdom is a moral, spiritual one, would you be spending time with those who aren’t moral or living in a spiritually pure way? But remember what we saw last time, that the readers would have pictured the scribes as the bad guys because of their mental accusations against Jesus. So they knew the scribes probably didn’t have honest motives in asking this question. The scribes and Pharisees asked this question because these groups were outcasts, rejects from the religious Jews. Some have said that tax collectors were rarely welcomed in the synagogue, being viewed as traitors because ultimately they worked for the Roman government, taking money from the Jews to give to Rome. They viewed these sinners as people who had abandoned their right to be called children of God ever again because of their sin. It’s because of this exact attitude that Jesus gave the three parables in Luke 15 (see especially verses 1-2), including the parable of the Prodigal Son. These two groups thought of themselves as the real religious Jews, the only ones who were acceptable to God. And if they wouldn’t eat with those groups, then Jesus couldn’t really be from God, otherwise He wouldn’t eat with them either. It’s the idea of You don’t do things like us, therefore you must be wrong. Their traditions had become more important to them that the word of God and love for their brethren. So, as a result, they said to Jesus’ disciples—the ones who were inside Matthew’s house at the feast—Explain why He eats with tax collectors and sinners! In these words is wisdom, compassion, and condemnation. The wisdom is seen in how Jesus answered them. He didn’t say anything about the traditions that the scribes and Pharisees had elevated over God’s word. He didn’t justify the sins of the sinners, nor did He deny that they were sinners; in fact, quite the opposite. He admitted clearly that these people were indeed spiritually sick. So, the way He answered showed wisdom by answering in a way that the scribes and Pharisees couldn’t speak against. The compassion is seen in how Jesus describes Himself in relation to the tax collectors and sinners. He is the doctor, the one who cares for sick people, and tries to heal them. He recognizes the failings of these people with whom He is eating, their distance from God, their need for help, and His answer basically says, “I’m trying to help these people get well.” Who could possibly have a problem with that? The condemnation is seen in that the attitude of the scribes and Pharisees was one of “they aren’t worth saving.” They, the religious leaders of the Jews, should have been the doctors, seeking to heal these sick sinners, bringing them back to spiritual health. Instead, they viewed these spiritually sick people as spiritually dead and therefore ignored them. But Jesus’ answer condemns their attitude. Just like with the parable of the Prodigal Son, where the older brother (representing the Pharisees) knew what the younger brother (the tax collectors and sinners) had done, but did nothing to help; these scribes and Pharisees had done nothing to help these people recover from their sins. Woe to you, scribes and Pharisees, hypocrites! For you shut up the Kingdom of Heaven against men: for you shall neither go in yourselves, nor do you permit those who are entering to go in. Woe to you, scribes and Pharisees, hypocrites! For you devour widows’ houses, and for a pretense make long prayer: therefore you shall receive the greater condemnation. Woe to you, scribes and Pharisees, hypocrites! For you traverse sea and land to make one proselyte, and when he is made one, you make him twofold more the child of hell than yourselves. Woe to you, you blind guides, which say “Whoever shall swear by the temple, it is nothing; but whoever shall swear by the gold of the temple, he is a debtor!” And “Whoever shall swear by the altar, it is nothing; but whoever swears by the gold of the altar, he is guilty!” You fools and blind! For which is greater: the gift, or the altar that sanctifies the gift? Whoever therefore shall swear by the altar swears by it and by all things therein. And whoever shall swear by the temple, swears by it and by Him who dwells in it. And he that shall swear by heaven, swears by the throne of God and by Him who sits on it. Woe to you, scribes and Pharisees, hypocrites! For you pay tithe of mint and anise and cumin, but have omitted the weightier matters of the Law: judgment, mercy, and faith: these you ought to have done, not leaving the others undone. You blind guides, who strain at a gnat and swallow a camel! Woe to you, scribes and Pharisees, hypocrites! For you make clean the outside of the cup and the platter, but inside they are full of extortion and excess. You blind Pharisee! Cleanse first that which is inside the cup and platter, that the outside of them might be clean as well. Woe to you, scribes and Pharisees, hypocrites! For you are like whited sepulchres, which indeed appear beautiful outwardly, but inside are full of dead men’s bones, and of all uncleanness. Even so, you outwardly appear righteous to men, but inside you are full of hypocrisy and iniquity. Woe to you, scribes and Pharisees, hypocrites! Because you build the tombs of the prophets, and garnish the sepulchres of the righteous, and say “If we would have been [living] in the days of our fathers, we wouldn’t have been partakers with them in the blood of the prophets.” Therefore you are witnesses to yourselves that you are the children of those who killed the prophets. Then fill up the measure of your fathers. You serpents, you generation of vipers! How can you escape the damnation of hell? The tax collectors and sinners were better off than the scribes and Pharisees. They realized they were sick and needed a physician; the scribes and Pharisees were sick and had convinced themselves they weren’t. Jesus ate with them, because they knew they needed help, and He knew He could help them. There’s a world of difference in the people who are in willful rebellion to God and those who are trying to live right and struggling mightily. Can you imagine a Christian acting like those Pharisees; a Christian who looks at a brother who has fallen away and says, “They ought to know better,” and does nothing to try to bring them back? The tax collectors and sinners would have been paying attention to what Jesus was saying here, as He was like a guest of honor. And in the answer that Jesus gives, He shows great diplomacy by not coming out and bluntly condemning the religious leaders. Those who were truly righteous were already on God’s side, and thus on Jesus’ side. The scribes and Pharisees may have thought Jesus was referring to them as the righteous, but their actions exposed them as anything but. They accused Him of blasphemy; they questioned Him (with bad motives) about eating with tax collectors and sinners; they accused Him of endorsing Law-breaking; they actively looked for things to accuse Him of; they joined together with their own political enemies to try to destroy Him; and accused Him of being a minion of Satan himself! And all of that takes place in Mark chapters 2 and 3! But here’s the important part of the message: Jesus calls sinners to repentance. He loves sinners, and ultimately He died for them, but He doesn’t want them to stay sinners. He calls them to repent! He still calls people to repent today. Jesus ate with the outcasts of society, spent time with God’s children who had fallen away and who were struggling. I’ve seen it far too often that some Christians refuse to spend time with certain people because of their race, or their politics, or because they’re poor, or they’ve fallen away and “ought to know better.” Are they any less important to God? Folks, those are the kinds of people Jesus went to! It’s the sinners that need us to bring them to Christ. How can we stand before our Lord and say, “I’ve done everything I could for you,” when we avoid certain classes of people and stoutly refuse to take the soul-saving gospel to them? As we saw, the Pharisees had an outward show of spirituality, doing the right things outwardly, but inside they were horridly wicked. Just because we follow the New Testament pattern in worship and insist on baptism being immersion in water does not mean that we are truly spiritual. Our spirituality needs to be inward first, a heart yearning to obey God, a heart which aches over sins, a heart that desperately wants to be right with the Lord. When we have this mind, it exhibits itself in the outward acts of obedience and worship. Many people warm a pew and go through the outward motions, but inside they are repulsive to God. Are you one of the ones Paul talked about when he said, “There is now no condemnation to them who are in Christ Jesus, who walk not after the flesh, but after the spirit”? Examine yourselves, whether ye be in the faith (2 Corinthians 13:5). Today, take an honest look at your soul’s condition. You know far better than I do what you’ve done, what your attitude has been. Jesus came to call sinners to repentance. Those who truly believe in Jesus will do just that—repent. When you repent, you will acknowledge Him as the Christ, the Son of God, and submit to His command to be immersed for the forgiveness of your sins. But just like some of the people from our lesson today, you might find yourself fallen away, gone back into sin. I want you to know—Jesus Himself wants you to know—that God loves you, and He wants you to come back home to Him. Simply go to Him in prayer, confess your sins, and ask for forgiveness. He is calling you now. Won’t you come to Him? The Text: Mark 2:1-12 – Again, He entered Capernaum after some days; and it was reported that He was in the house. And immediately, many were gathered together, insomuch that there was no room to receive them, no not even at the door: and He preached the Word to them. And they came to Him, carrying a paralytic, who was lifted up by four men. And when they could not come near to Him because of the multitude, they uncovered the roof where He was: and when they had broken it up, they let down the bed on which the paralytic was laying. Jesus has already been revealed in Mark’s Gospel Account to be a King—a different kind of King. He’s a King with great power, with great authority, and with compassion. But He’s also a King whose Kingdom had not yet been established. Remember that He was preaching to the people that “The Kingdom of God [or, God’s Empire] was at hand” (Mark 1:15). His mission—and the mission of His herald, John the immerser—was to prepare people for the coming of His Kingdom. But this Kingdom, Mark’s readers could tell, was not like other Kingdoms. It’s been some days since Jesus healed the leper who “blazed abroad” the news about Jesus’ amazing healing powers. And people from all over Galilee, Judea, and Jerusalem (Luke 5:17) have come to find Him, to hear Him, and to witness His power for themselves. Again, He enters into Capernaum after days. Jesus’ first several miracles in Mark’s Gospel Account were done in Capernaum, beginning with the casting out of the demon in the synagogue, then the healing of Peter’s mother-in-law, and then healing “many that were sick of various diseases” and casting out “many demons” (Mark 1:21-34). After making a preaching and healing tour in Galilee (1:39-45), Jesus is now coming back to Capernaum, to Simon and Andrew’s house, which served as a kind of headquarters for Him while He was in Galilee. With Jesus preaching and healing all over Galilee, and the news that He had cleansed a man of leprosy, Jesus’ fame was growing even more (see 1:28). So it is no surprise that when someone found out that Jesus was in Simon and Andrew’s house (the only house mentioned in the book thus far), word spread—and quickly. Immediately, many were gathered together, insomuch that there was no room to receive them, no not even at the door. Can you imagine the excitement that there must have been in order to pack the house that tight? We don’t know how big Simon and Andrew’s house was, but even if it was the largest house in Capernaum, it still didn’t have room for everyone that wanted to come in and hear Jesus. Mark says that there were so many people in the house, there was no room to receive them, not even at the door. Elsewhere, this word is translated “contain” (John 21:25, 2:6). In other words, the house was overflowing with people, people were outside the door, wanting to get in, but unable to. Most likely, we’re talking hundreds of people inside and around the house—could your house stand up to this? Amidst the fame and hubbub, in a house overly crowded with people (which probably made things quite warm), Jesus didn’t lose sight of His mission, which was to “preach the Word” to them. That is, Jesus preached the “kingdom of God is at hand” “repent, ye, and believe the gospel” (Mark 1:14-15). You know that there had to be people in there who were thinking, I’m wantin’ to see some healin’, Jesus. People who weren’t interested really in the message, but in the spectacle itself. But it’s like Jesus said several verses earlier, “Let’s go into the next towns so that I may preach there also, for into this I came forth” (Mark 1:38). The crowds were gathered around, and everyone wanted in to see Jesus. But some were willing to go further than others to accomplish their goals. They came to Him, carrying a paralytic, lifted up by four men. What we’ve got here are five men—four of them working together, carrying the fifth one on his bed. In the East [including Palestine] bedsteads were practically unknown. An Oriental (that is, middle-eastern) bed is a thin mattress of pallet, just large enough for a man to lie upon; and those generally used by the poor today are made of sheepskin with the wool on it. Such a bed could easily be carried by four men, if each took hold of a corner. (McGarvey, Fourfold Gospel). The KJV and ASV both say that the man was “sick of the palsy.” The word “palsy” is a shortened form of the word “paralysis.” Every possibility, it seems, has been suggested for this man. Some suggest that he was incapacitated on one side because of a massive stroke; others that he was gripped with mental anguish over something he had done in his past, which literally paralyzed him (Barclay); still others suggest that he was a quadriplegic. What we know for certain is that he was bedridden, unable to move freely on his own. Paralysis had no cure. If Mark’s readers thought healing leprosy was impressive, they’re about to be even more impressed. At least with leprosy, you can still talk and breathe with relative ease, and can walk around where you need to go. With some forms of paralysis (possibly including that which the man was enduring), breathing is a chore and talking is next to impossible. The KJV says “because of the press,” but the word is the same as is translated “multitude” throughout the New Testament. The crowd of people was so thick that there was no way of going through the front door and into the house where Jesus was speaking. They uncovered the roof where he was: and when they had broken it up, they let down the bed in which the paralyzed man lay. Let’s backtrack a moment here. In order for them to “uncover” the roof and break it up, they first had to get to the roof, which isn’t exactly a quick and easy task. Many books say that these men probably used a set of stairs that were on the outside of the house, leading to the roof. The problem with that, is that such staircases are “almost unknown” in Palestine. Most houses had their front door, which led to a “porch” area, and it is there that the stairs to the roof could be located. But, of course, there was no room to get in at the door. That leaves really only two choices: (1) either these men found a way of climbing to the roof and jointly hoisted the man up, or (2) they went inside a neighbor’s front door, up the narrow stairs onto their roof (if you’ve ever tried to carry something heavy upstairs, you know that isn’t easy), and then climbed over the ledge between the two houses (houses built side by side are common in that area). However they got up there, it wasn’t easy, but they thought it was worth it to bring their friend to Jesus. Getting on the roof was part one. Now, they had to get through the roof so they could get their friend to Jesus. According to the historians, the roofs in that area were built with wooden beams a few feet apart, then brush was laid across it very tightly, then mud, then mortar, then it was covered with earth and grass. Luke adds the detail that they broke through the “tiling” (5:19) which is the Greek word Keramos, where we get our word ceramic. So these men broke through the ceramic/clay layer, the mortar, the mud, and the brush, making a hole in the roof large enough that they could let their friend down, bed and all, in the room next to Jesus. Mark first records the actions of the men, but now he changes to Jesus’ point of view. What wonderful words are contained here! What glorious evidence that the doctrine of “faith only” (that is, belief only) saves is false! Faith is not something that is felt. Faith is not merely belief. Faith is something you can see! Thus, it isn’t really faith if there are no works to go along with it! For “faith without works is dead, being alone” (James 2:20). But let us not neglect to recognize that this paralyzed man also had faith, otherwise he could have refused to be carried and jostled around in his weakened condition. The faith that Jesus saw, then, was the faith of the five—not just of the four. The man’s sins were the cause of his paralysis. Perhaps through a life of constant sin (perhaps drunkenness), he had somehow injured himself or caused himself nerve damage which led to his paralysis. This is pure conjecture, but it is mentioned frequently by writers as a possibility (some even say it is the “likely” answer). The man had bought into the idea that sickness and disease were caused by sin, and he therefore thought of himself as a wretched sinner, regardless of whether Jesus healed him or not. This, like the previous one, is also conjecture, though we do have several biblical passages which show that this idea was prevalent (throughout the book of Job, and also John 9:1-2). If this is the case, it would be as though Jesus was saying, “Don’t fear, child. God forgives you,” thus easing the man’s troubled mind. The one that, personally, I think is most likely is that Jesus said this because there were religious leaders present (Luke 5), and He was now making a little bit more known about Himself and His mission. As will become obvious momentarily, Jesus’ claim to forgiving sins was the same as proclaiming that He was God. He had a point to make, and in doing so, Jesus was showing His authority—still following the idea of the King proving that He had power to overthrow the Kingdom of Darkness. But there were certain of the scribes sitting there. It’s most likely that the majority of the crowd was standing while the “privileged” religious leaders got to sit (probably in the front, closest to Jesus). Luke adds that the Pharisees from Judea and Jerusalem were there as well. Something interesting here is that the scribes reasoned in their heart that sins could only be forgiven (literally, “sent away”) by the God. The word “the” appears in the original, just like in 1:1. In other words, there is only one God that can take away sin. Mark is reminding his readers that their pagan worship system is false. After all, most of the religious ceremonies to the Greek and Roman gods dealt with appeasing the various so-called deities, hoping to keep them happy so as to avoid their wrath. They never really dealt with the idea of cleansing from sin. But the scribes (and Pharisees), after hearing Jesus pronounce this man’s sins forgiven (literally, “sent away”) weren’t thinking about Roman gods at all. They began to murmur and think to themselves that Jesus was blaspheming God, by pretending to be able to forgive sins, when only the God—Jehovah—had that capability. In short, their thoughts were that Jesus was blaspheming by claiming He possessed God’s power. What they didn’t realize is that since Jesus is God, He therefore has the power to forgive sins. Now, for a moment, place yourself in the shoes (sandals) or Mark’s readers. You’ve read about Jesus, seen His authority, His healings, His compassion, and perhaps you’re withholding judgment. But now these scribes show up and start mentally bad-mouthing Him. Probably without even realizing it, you start to defend Jesus. That’s wrong, scribes, Jesus has that power because He’s Son of the God. After all, that’s the very first thing you read in this book. And the main character in the narrative has done nothing but good, but now He is being mischaracterized and accused of evil. Almost every unbiased reader, whether reading it as a story or reading it looking for the truth, now pictures the scribes as some of the bad guys, and sympathizes with Jesus. Jesus could read their minds. It wasn’t that He looked at their faces and could read their expressions, deducing from them what they were thinking. Mark says that they thought this, and then immediately Jesus perceived what they were thinking. This mind-reading is often overlooked when people read this passage, because it is overshadowed by the healing of a paralytic and the proof that Jesus truly forgave the man’s sins—but it is still there! Only God can know the thoughts of men; and since Jesus knows the thoughts of men, He is God! This point almost certainly was not missed by Mark’s readers. He has power over sickness, demons, injuries, and can read minds too? He said…“Which is easier to say to the paralyzed man: “Your sins are forgiven you;” or to say “Arise, and take up your bed and walk”? This was a pointed question, and one that gave great evidence as to the nature of Jesus. The obvious answer, though the scribes considered it blasphemy, was that it was easier to say “Your sins are forgiven you.” This is because there was no tangible, visible way of proving it one way or the other. You can’t see sins being carried away from your soul. The harder statement, of course, is to tell the man to “Arise, and take up your bed and walk.” Because without miraculous power, given by God Himself, those words would do no good. You would be exposed as a fraud and a charlatan. Words alone cannot heal a paralyzed man. It’s easier to say “Your sins are forgiven you,” because you can’t see it take place. It’s harder to say “Arise, take up your bed and walk,” because that would require the power of God. I am saying both—and if the man gets up and walks, it shows that I possess the power of God, and thus have proven that I have the power to forgive sins. The last verse of Mark’s Gospel Account explains the point here, “They went forth and preached everywhere, the Lord working with them, and confirming the word with signs [miracles] following” (Mark 16:20). Miracles were given as confirmation of the message that was spoken. If Jesus was truly blaspheming God, then He would have no miraculous abilities. If He was, however, able to heal the paralyzed man, then that proved He was not a blasphemer at all. One other thing that is interesting is that Jesus calls Himself “the Son of man” for the first time (at least in Mark and Luke’s accounts) here. For Mark’s readers, this is their introduction to the dual nature of Jesus, as Deity in human flesh. This is a vital element for them (and us) to understand, because without Jesus being the “Son of man,” He couldn’t have endured the temptation (James 1:13, Hebrews 2:16-18) or died on the cross if He had not come to this earth as a human. Immediately he [the paralytic] arose, took up the bed, and went out in front of them all. There’s no telling how long this man was paralyzed; no telling how long he’d been bed-ridden. In all likelihood, the man’s leg muscles had deteriorated greatly, and his joints had no strength at all when he was brought to the Lord. This miracle was more than just a “you’ve now got the ability to move again,” it was a miraculous re-strengthening of the muscles and joints, this man didn’t have to go through physical therapy to learn how to walk again, either. The healing was instantaneous and complete, just like the others Jesus had healed. He was carried in by friends, his sins were carried away by Jesus, and now he—with new strength—carries his own bed out. Luke adds that as he was walking out with his bed, he was “glorifying God” (Luke 5:25). The joy this man must have felt was incredible. We’re told what the reaction of the crowd in the house was (they were amazed), but for a moment, instead of looking at that man with his this mattress, instead of looking at the crowd, look up to the hole in the ceiling and imagine the smiles and tears of joy that almost certainly on the four faces that looked in from above. Their faith had been rewarded, and they no doubt joined in with the others in glorifying God for this wonderful show of mercy. Capernaum wasn’t a huge city, so most of the people probably knew (or at the very least, knew of) the paralyzed man. So there was no denying that this was a miracle. Even those who weren’t from the area could probably tell just by looking at the man that he had serious medical problems. They were all amazed, as were Mark’s readers, by what had just taken place. Paralysis was supposed to be incurable. Even though the scribes and Pharisees might not have accepted the consequences of what they just saw (that Jesus is indeed Deity), they could not deny that a powerful miracle had been performed in their presence. As such, they, along with everyone else there, glorified God. You might think it strange, but try to remember that there had been no miracles performed for hundreds of years. It had been over 400 years since the last inspired prophet of God had walked the earth. It’s not like these people had seen miracles their whole life—this was something completely new to them, and they gave God the glory for having done it and allowing them to see it. These people were amazed, glorified God, saying “We’ve never seen anything like this!” And yet it still wasn’t enough to cause them to repent (Matthew 11:23-24). The rich man in torment tried to convince Abraham to send Lazarus back, because “if one went to them from the dead, [my brothers] would repent,” but the answer was “If they will not hear Moses and the prophets [that is, the inspired message of God], neither will they be persuaded, though one rose from the dead” (Luke 16:30-31). For a while, the citizens of Capernaum were excited and entertained by the miracles; and so long as the miracles were being done, they were interested in following Jesus. But it seems that they ended up wanting more entertainment and less doctrine—and they received the condemnation of Jesus for it. There’s a lesson in that for us, no doubt. Amidst the hustle and bustle of life’s busy ways, we often get distracted to the point that we forget what we’re here for. We simply think about the here and now, the things we’ve got to do, what’s for dinner, where we’re going next week, etc. And we let the cares and troubles of our lives distract us from our mission of teaching the gospel. We don’t have near the stress that Jesus did—yet He kept His sights on the mission. We’re told to “look unto Jesus, the author and finisher of our faith, who, for the prize that was set before Him endured the cross, despising the shame, and is set down at the right hand of the throne of God” (Hebrews 12:2). Jesus taught with authority, because He preached the Word. He wasn’t teaching for doctrine the commandments of men, He preached the Word. I spoke with an old preacher who retired from local work years ago about a congregation he’s familiar with. He said that he’s never heard anything unsound out of the new preacher they’ve got there, but that those sermons could be preached—word for word—in pretty much any denominational building across the United States. When Jesus preached the Word, it included preaching repentance (Mark 1:15). When Jesus preached the Word, it included preaching obedience (Matthew 7:21—Not all the say to me “Lord, Lord,” shall enter the Kingdom of Heaven, but he who does the will of my Father which is in heaven. Luke 6:46 – Why do you call me “Lord, Lord,” and do not the things that I say?). When Jesus preached the Word, it included preaching the Kingdom of God—the church to which saved people are added (Mark 1:14-15, Acts 2:47, Colossians 1:13). What Lengths are You Willing to go to? These four men carried a man on his bed however far it was from his place of residence to Simon and Andrew’s house. When they realized there was no way of getting in the house normally, they didn’t turn back. They looked for another way to get him to Jesus. Whether they scaled the side of the house or climbed up stairs, they still worked hard to get this man there. Then they tore up the roof and let him down in front of Jesus. In short, they went through an awful lot of work in the hopes of getting their friend saved from his paralysis. Jesus took note of their great show of faith. How much faith do we show in trying to bring others to Jesus? Do we give up at the first obstacle? Do we try to find ways of bringing people to Jesus Christ? How far are you willing to go—what lengths are you willing to go to in order to bring a soul to the saving blood of the Savior? Let these men and their faith be an example to all of us! Do you really have faith? Faith in Jesus comes from hearing the message about Him (Romans 10:17), and is an absolute requirement if you want to please God (Hebrews 11:6). But faith must be alive and working, leading you to repentance while acknowledging Jesus as the Son of God, and causing you to submit to Jesus in faithful obedience through being immersed into His death (Romans 6:1-5). Faith—true saving faith—will make you want to “walk in the light,” and “be faithful.” Won’t you come?